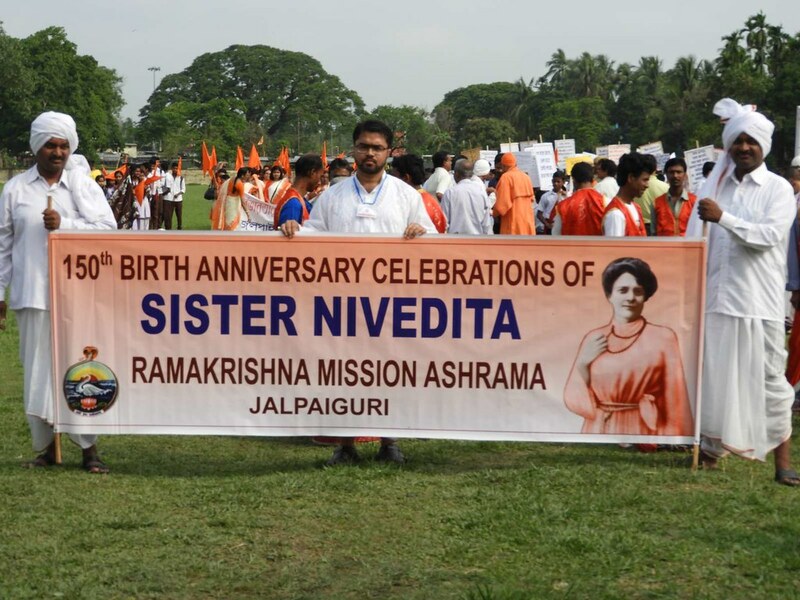 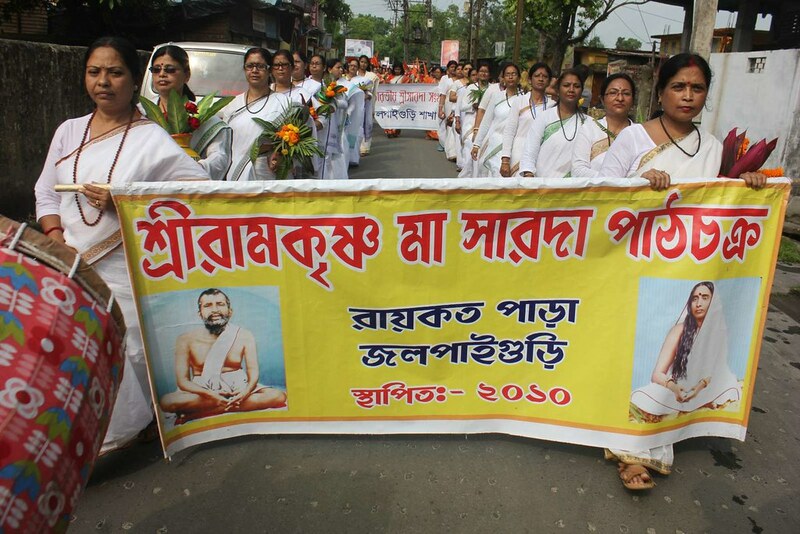 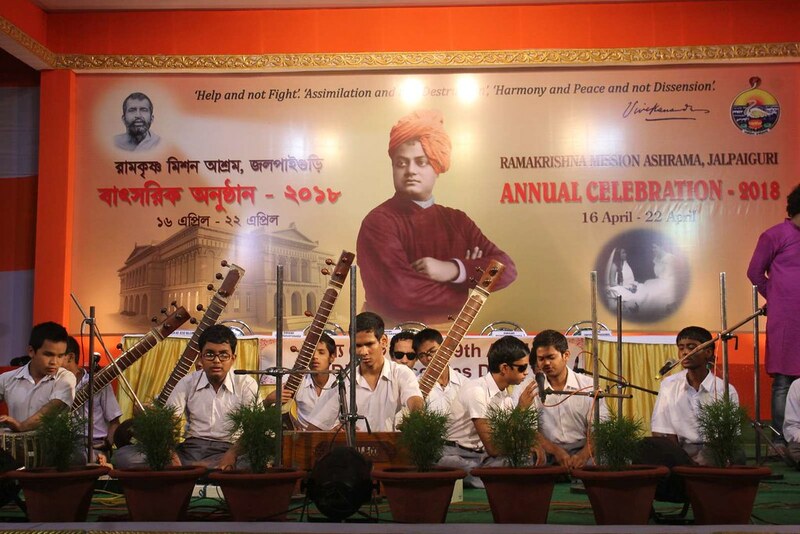 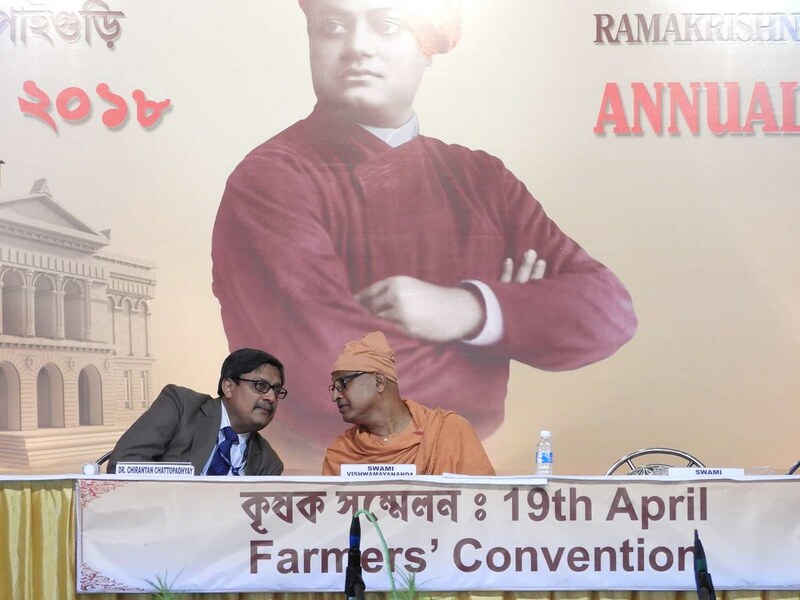 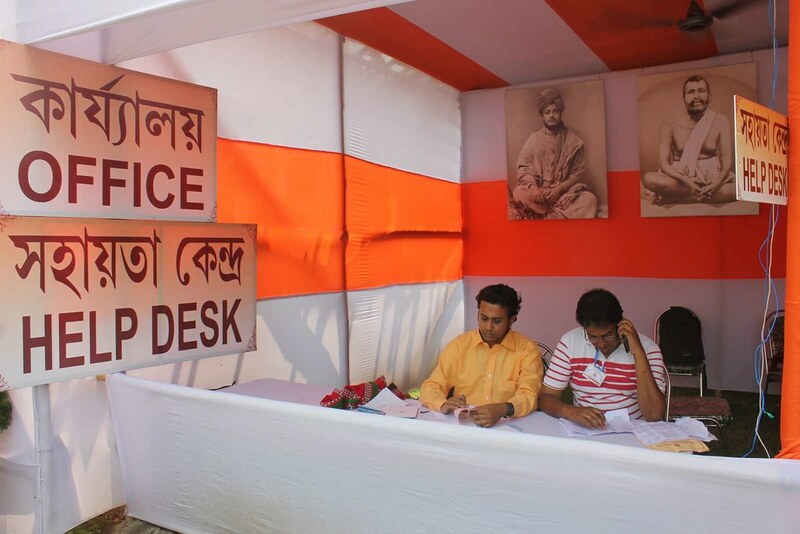 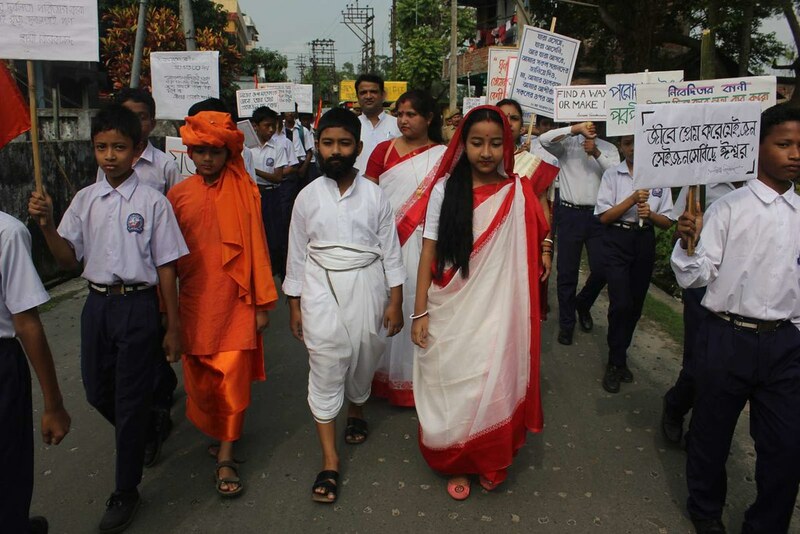 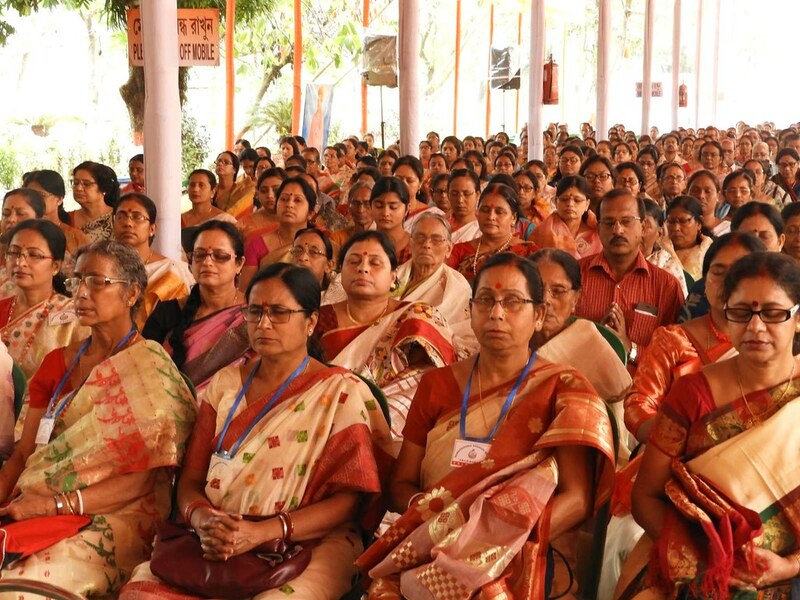 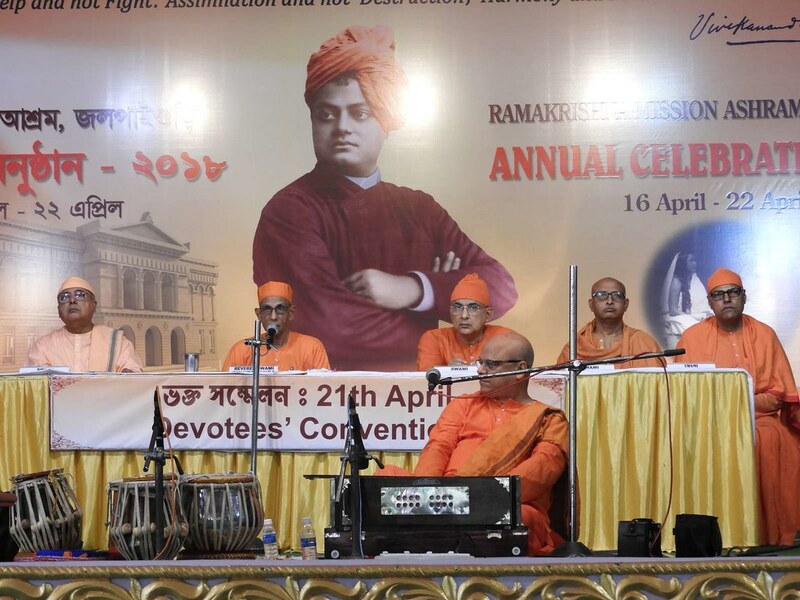 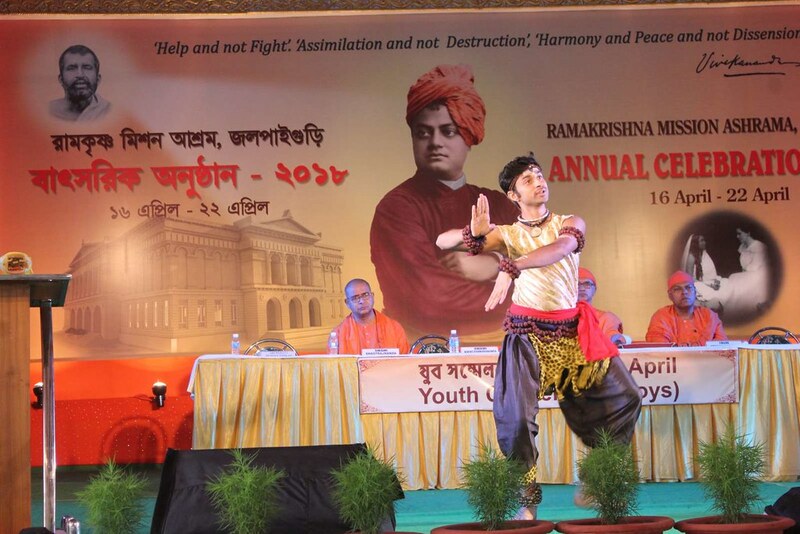 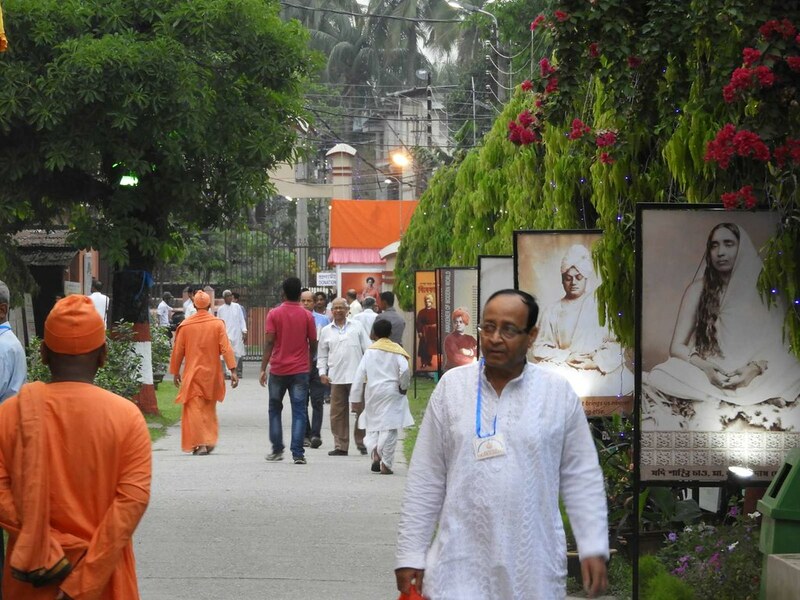 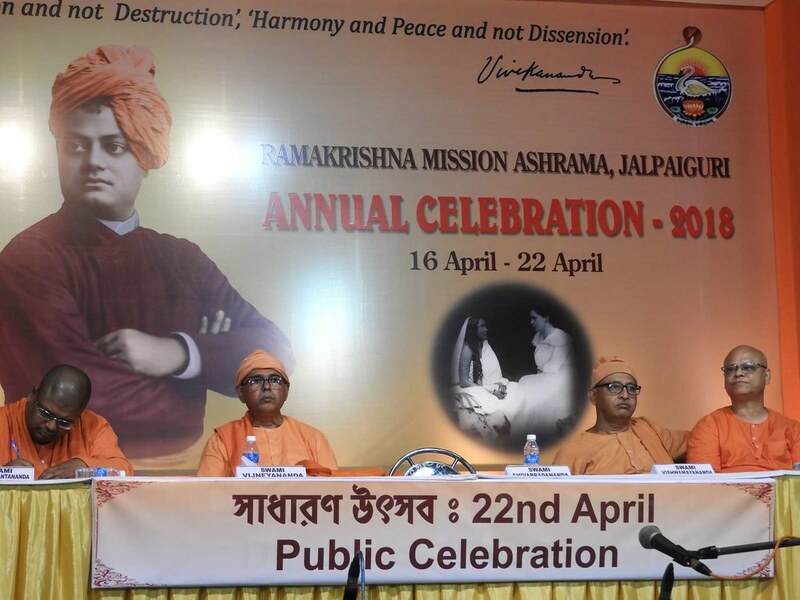 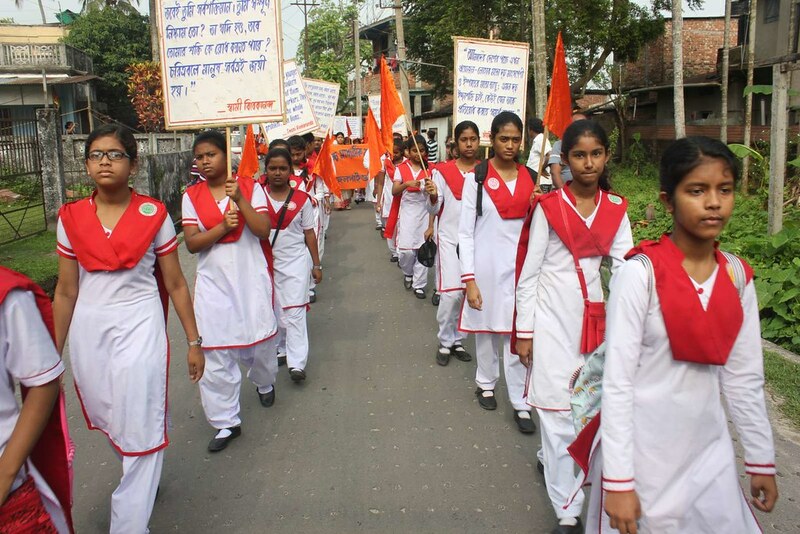 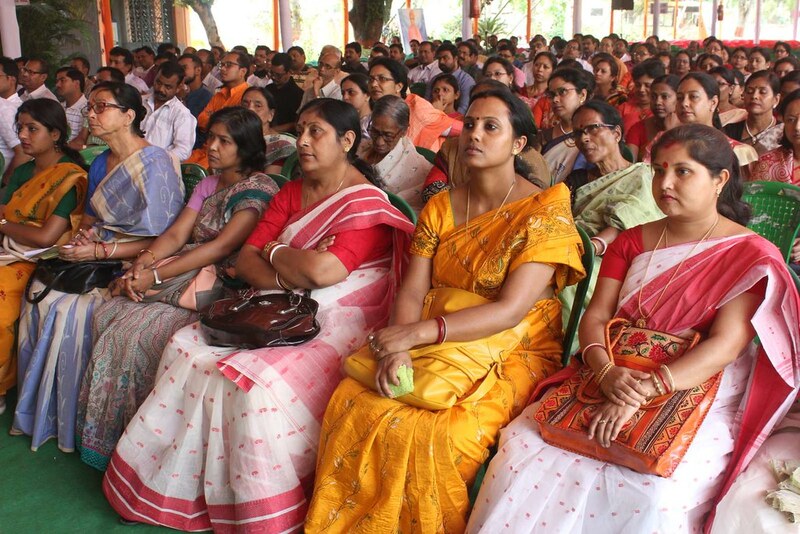 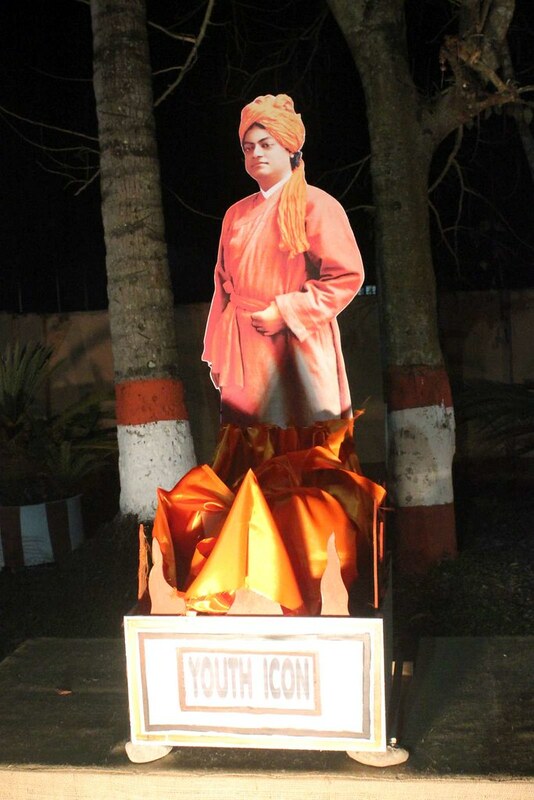 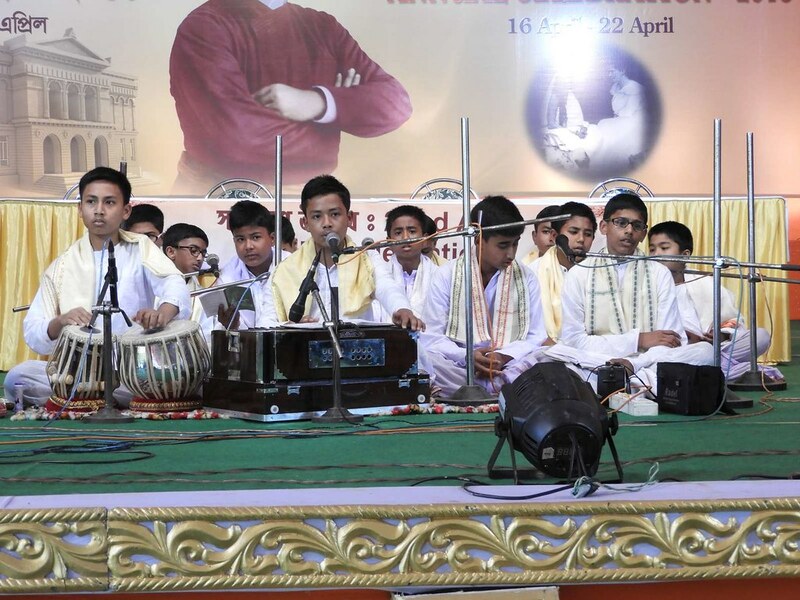 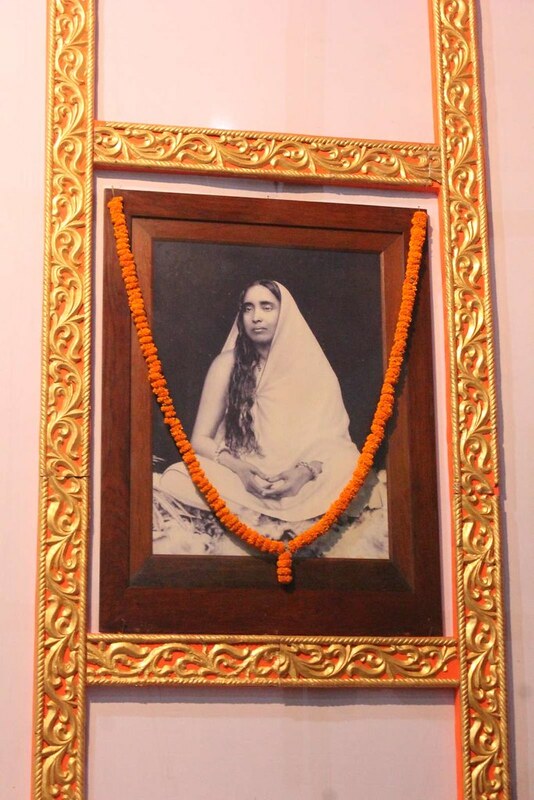 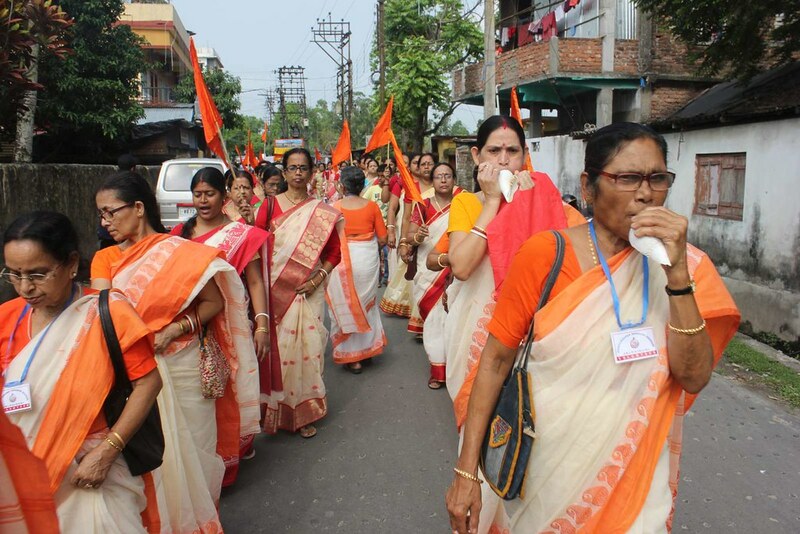 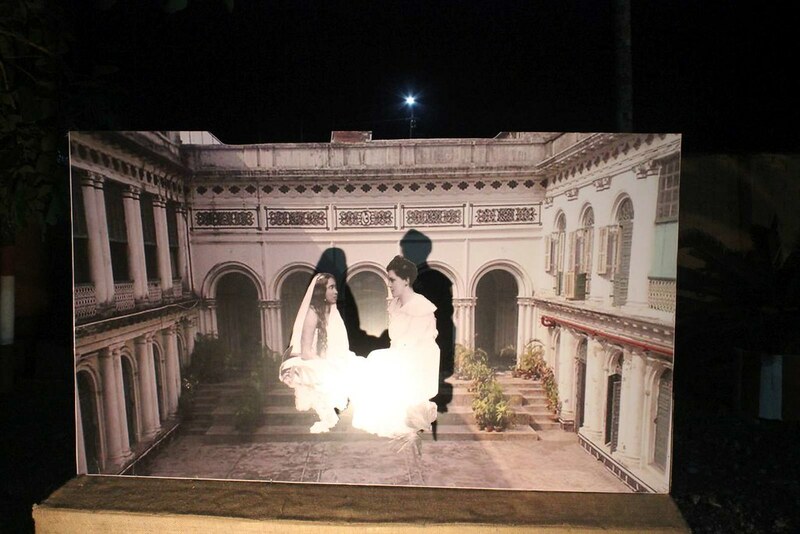 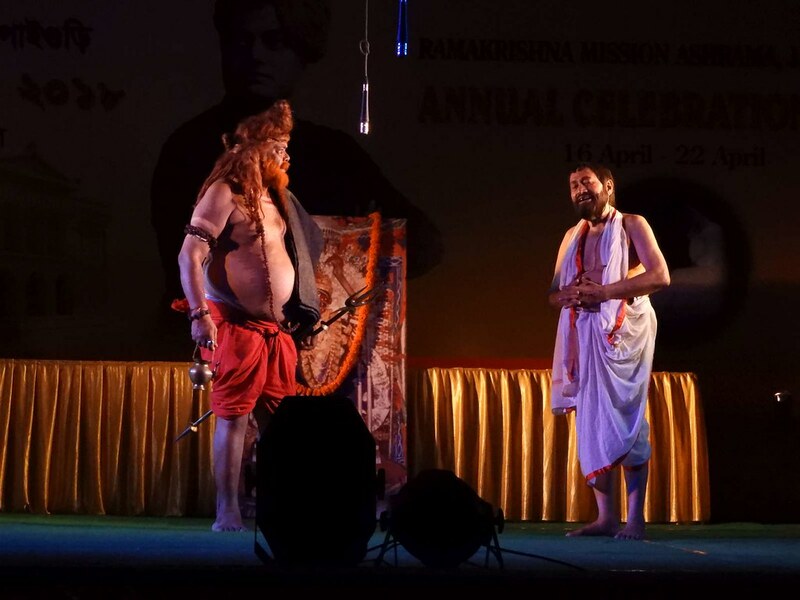 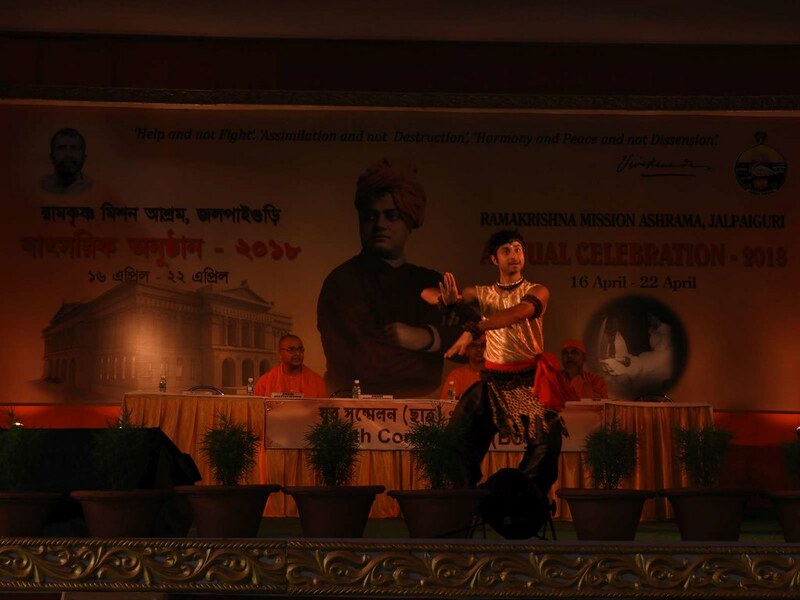 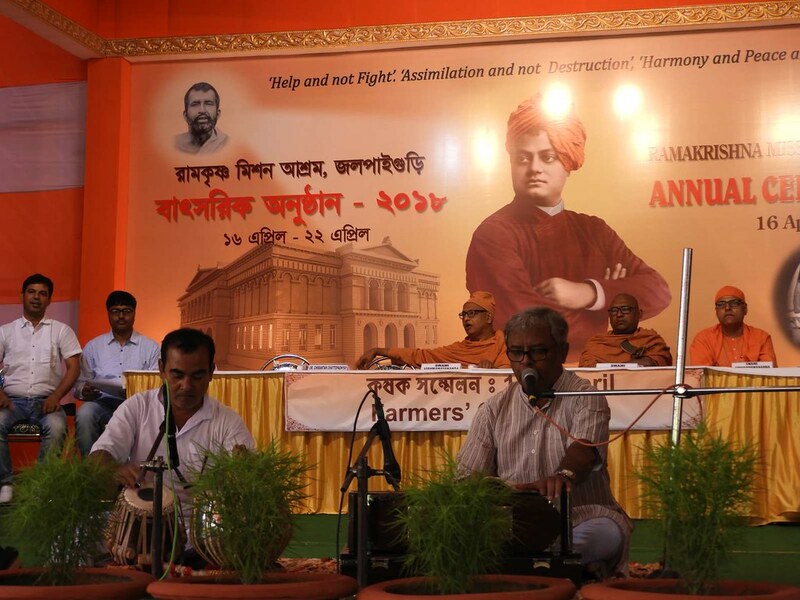 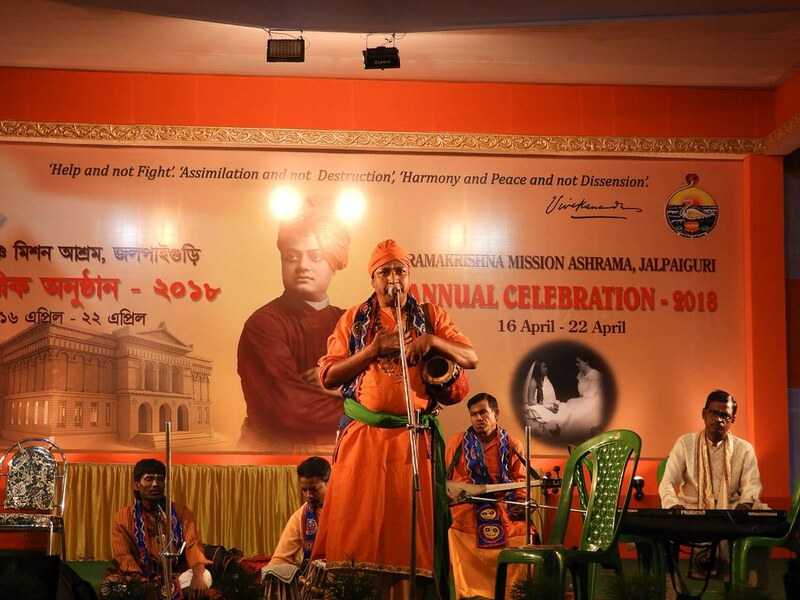 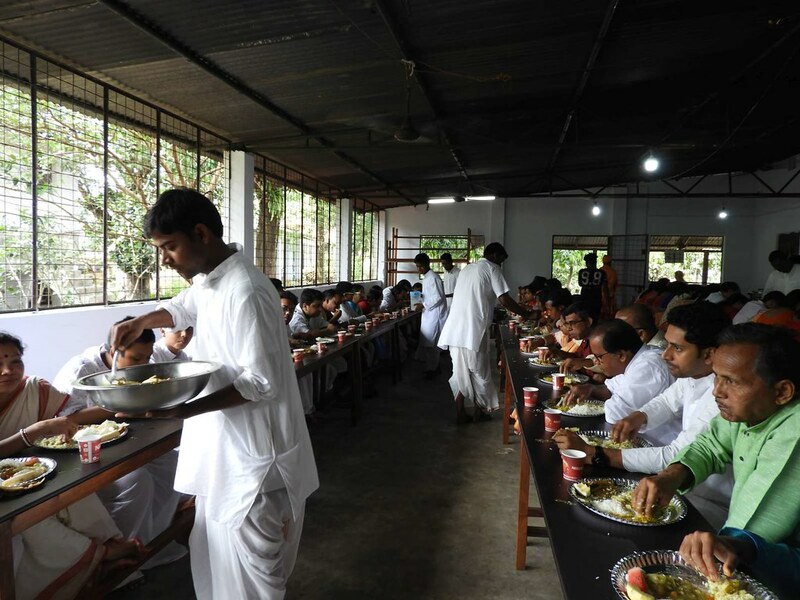 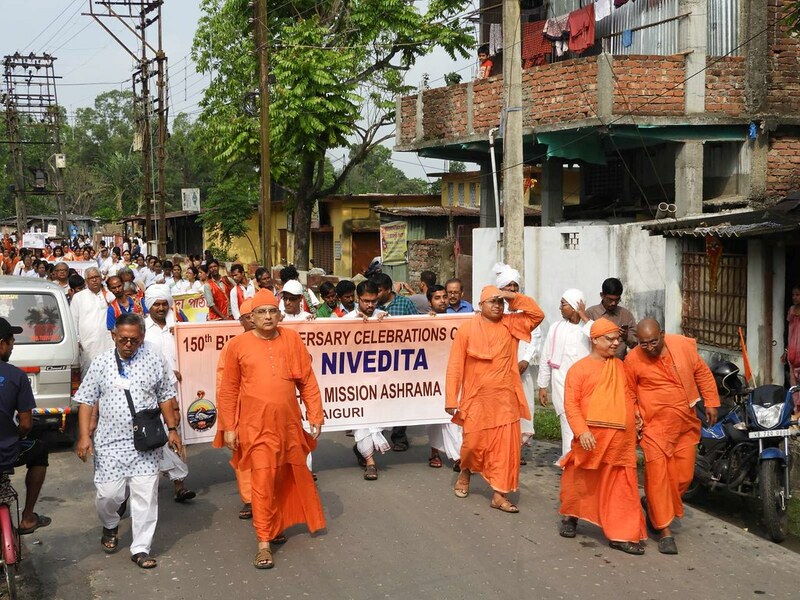 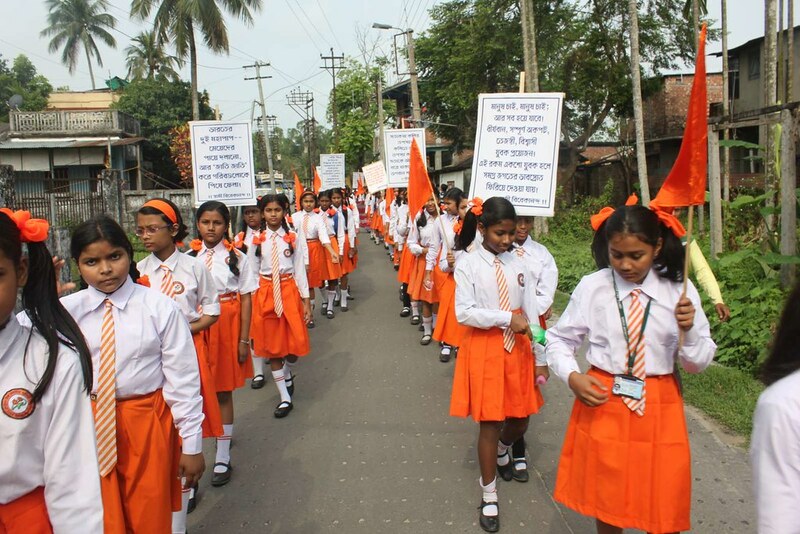 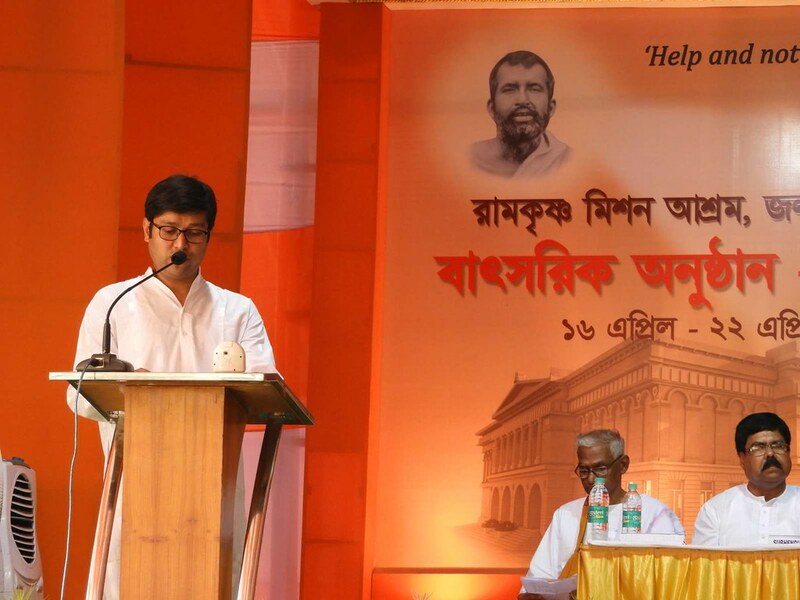 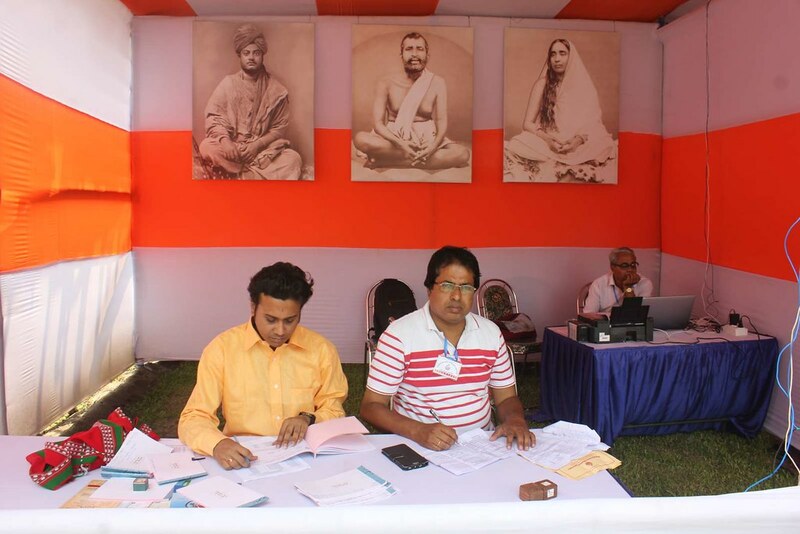 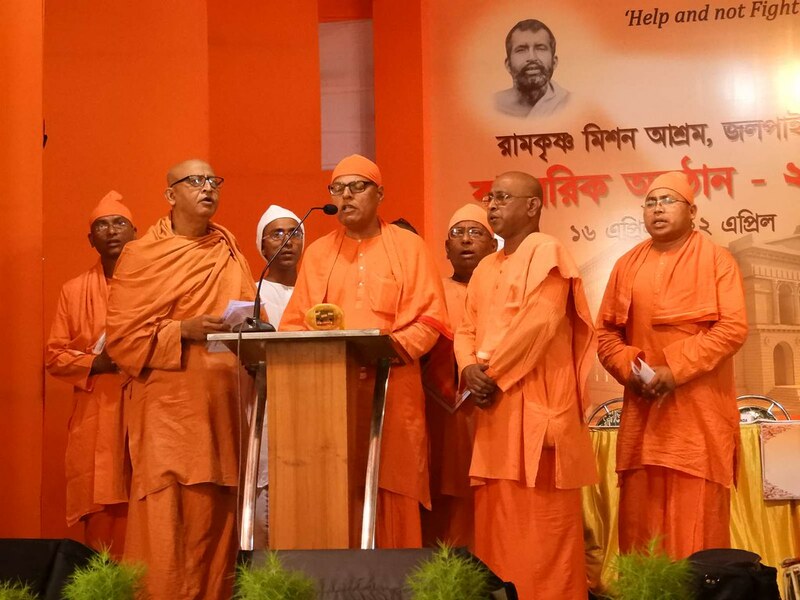 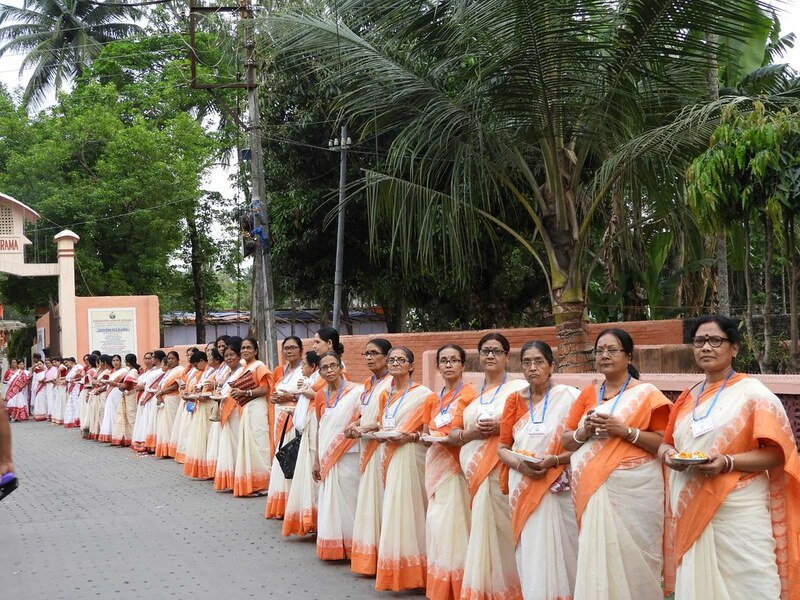 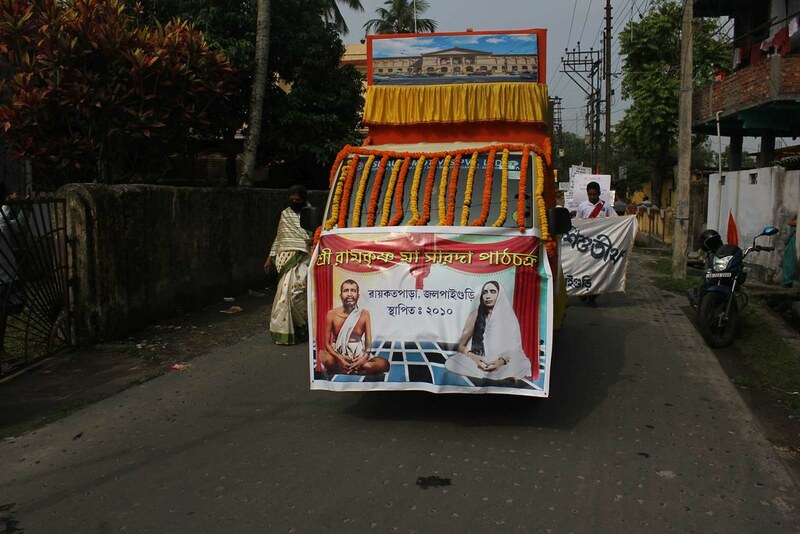 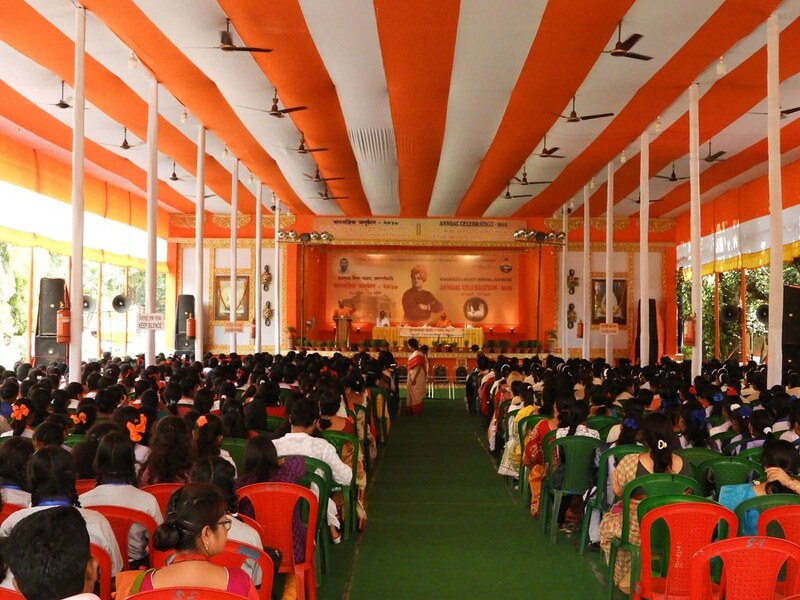 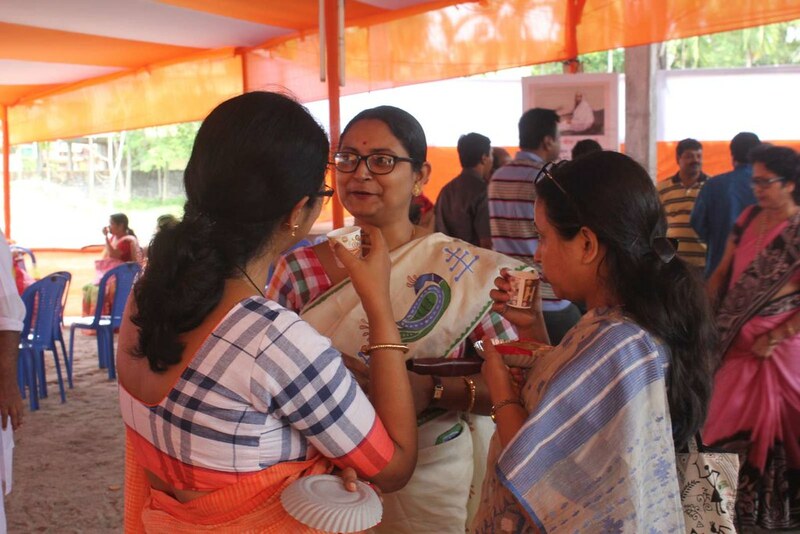 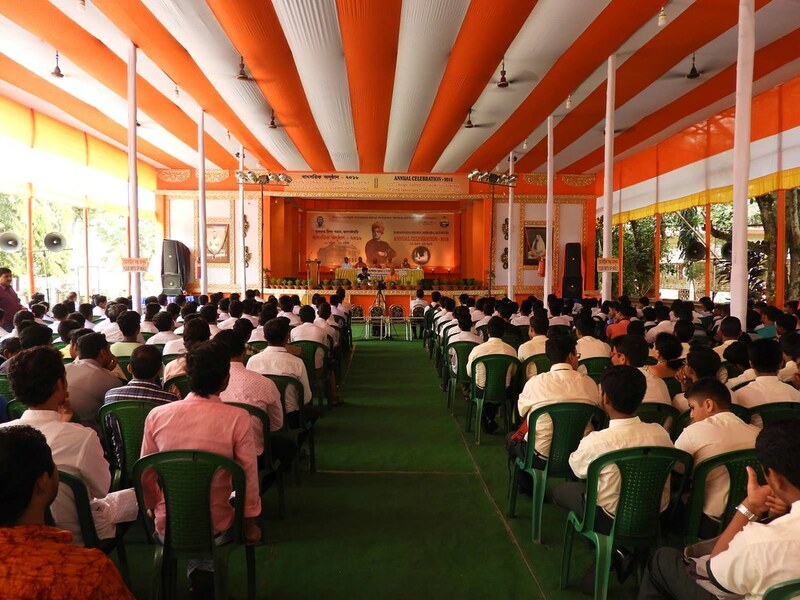 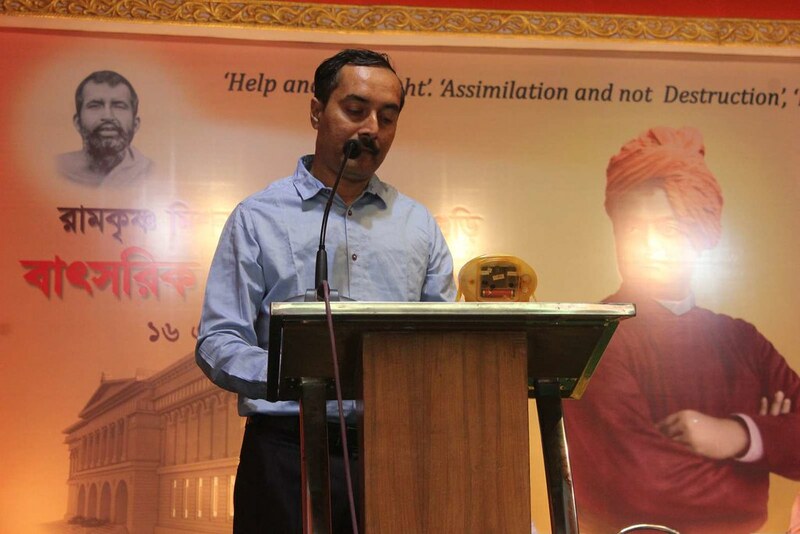 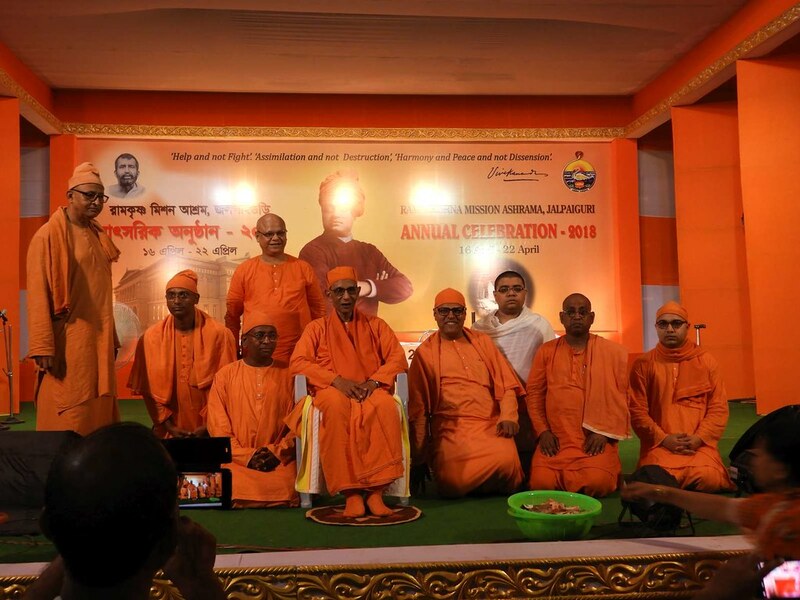 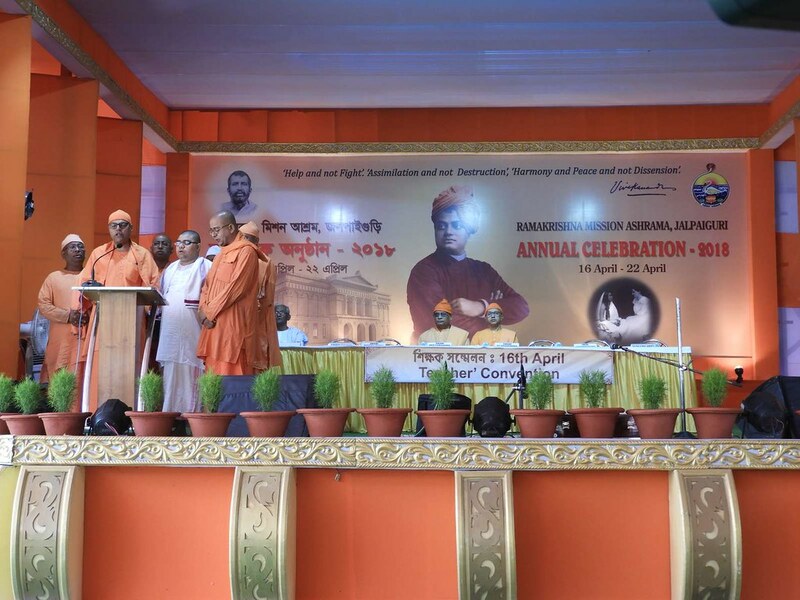 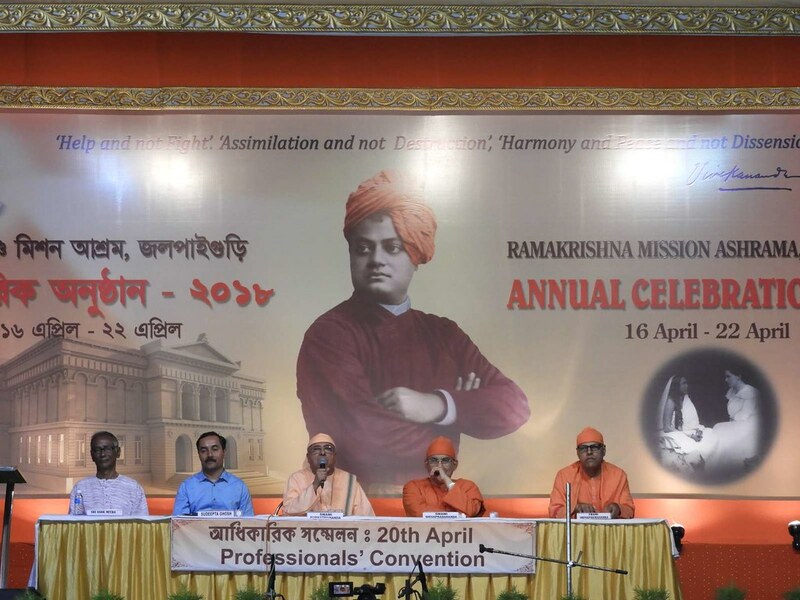 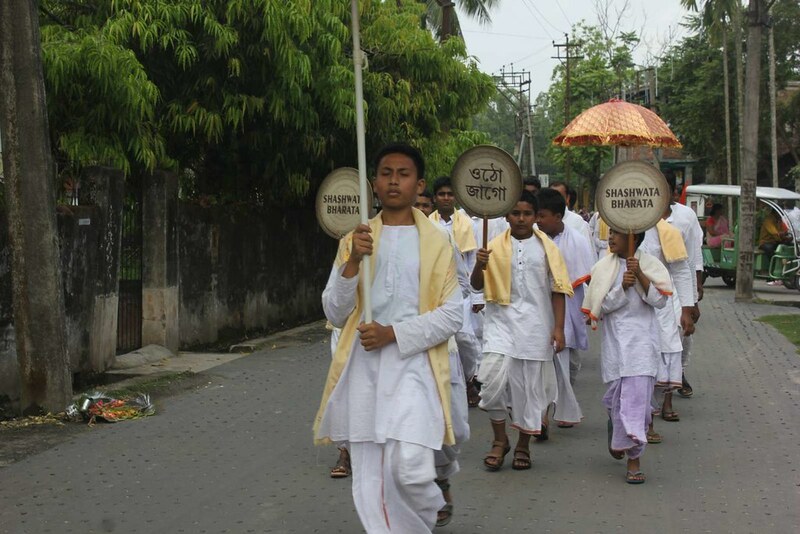 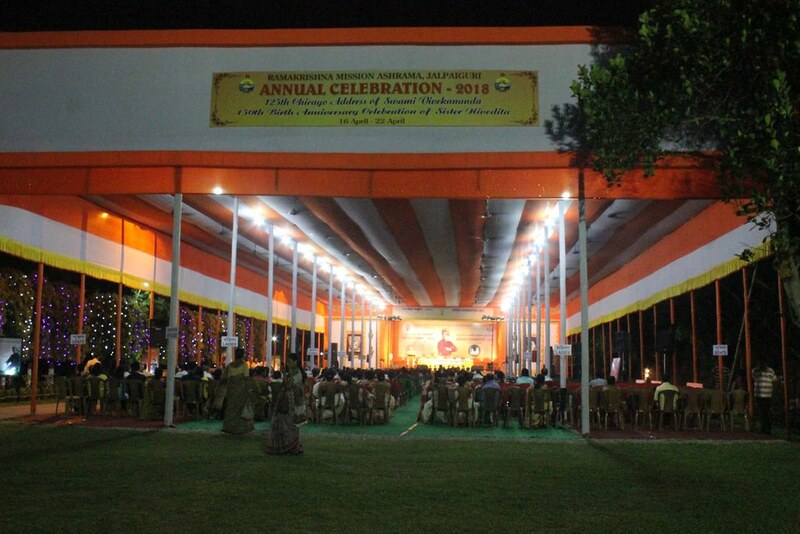 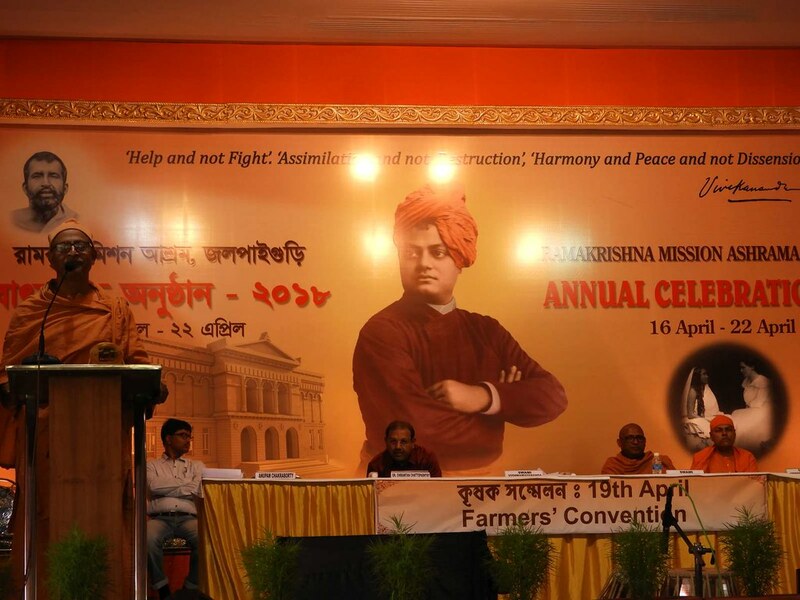 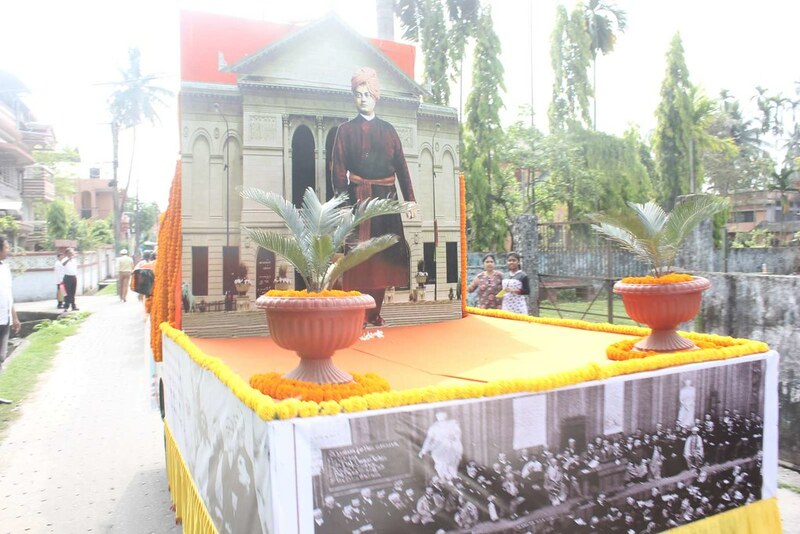 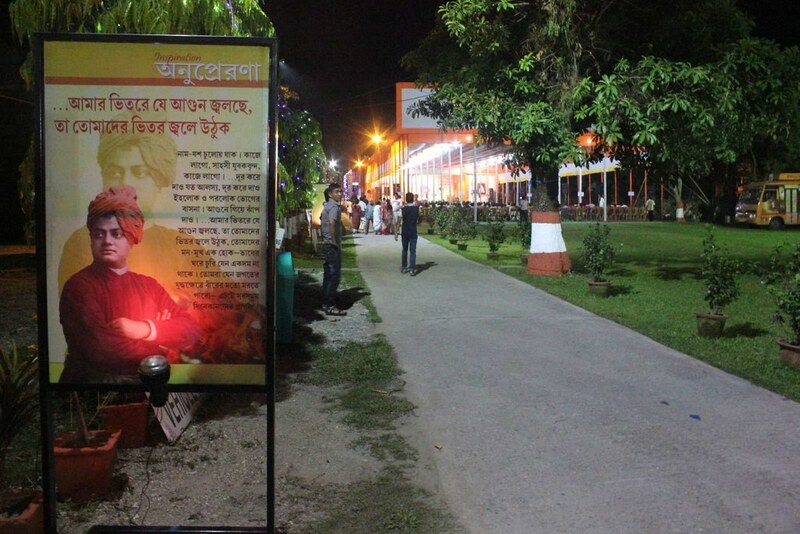 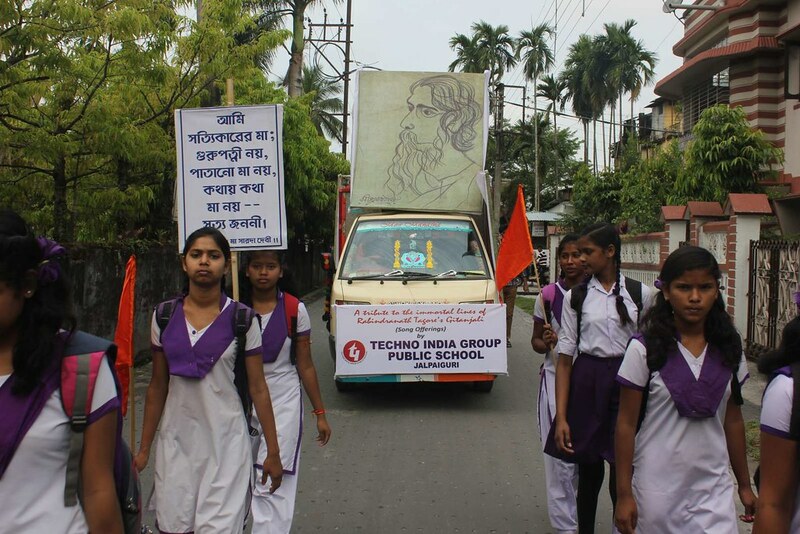 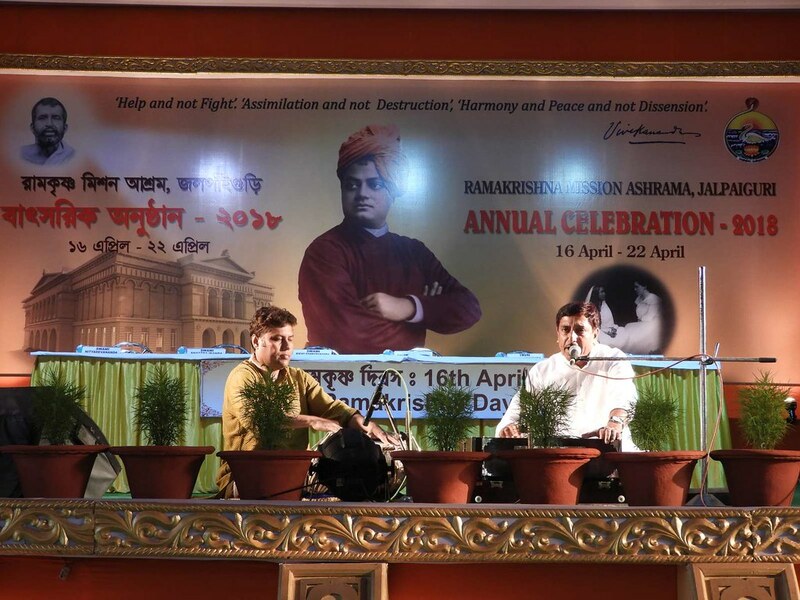 The weeklong Annual Celebration 2018 in Commemoration of Swami Vivekananda’s 125th Anniversary of Chicago Address and 150th Birth Anniversary Celebration of Sister Nivedita was conducted in Ramakrishna Mission Ashrama, Jalpaiguri from 16 to 22 April, 2018. 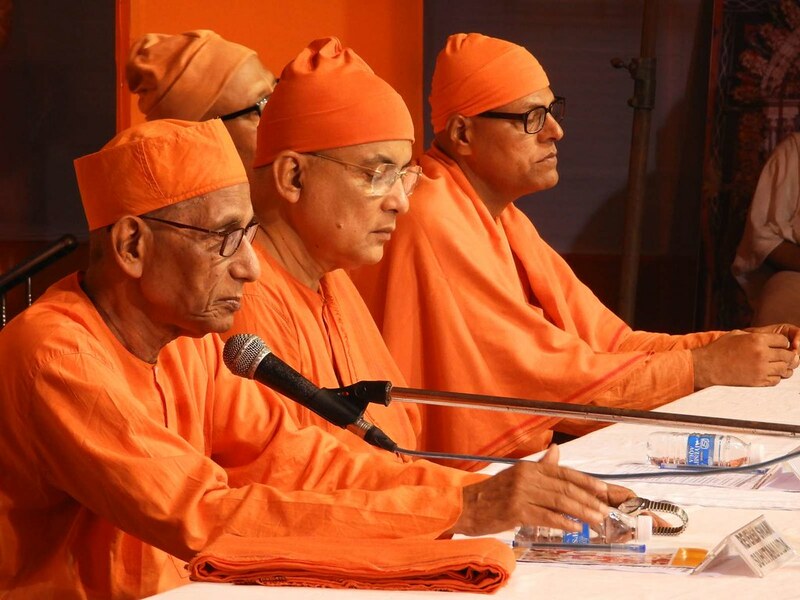 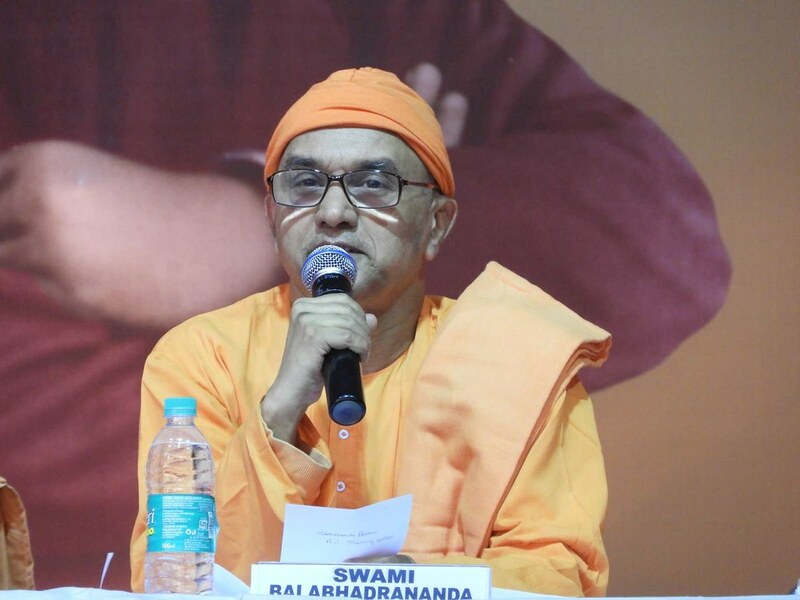 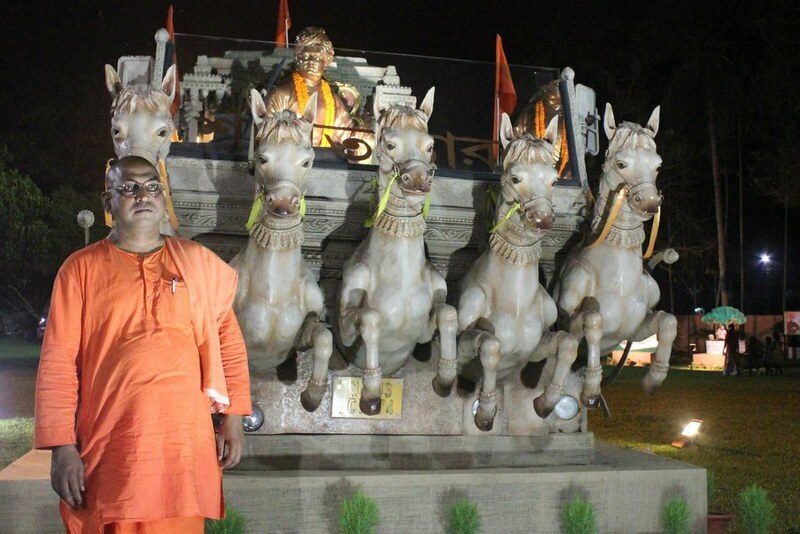 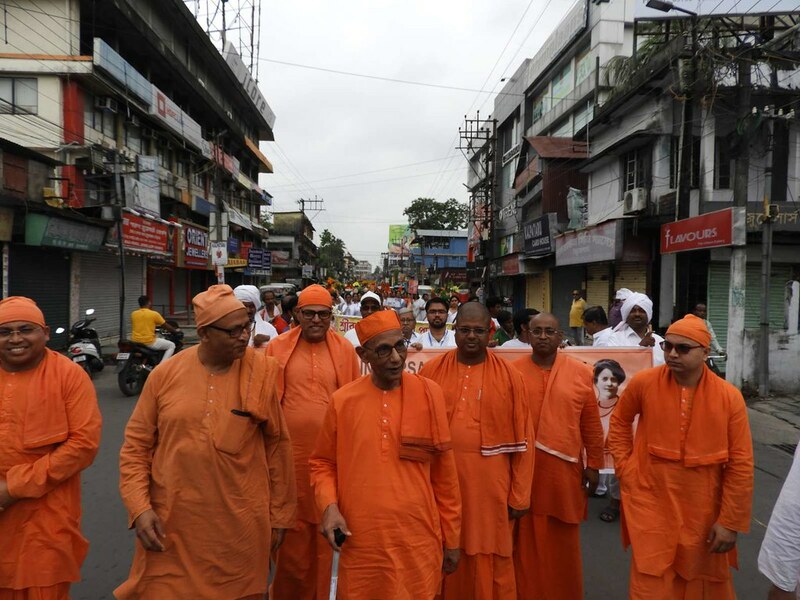 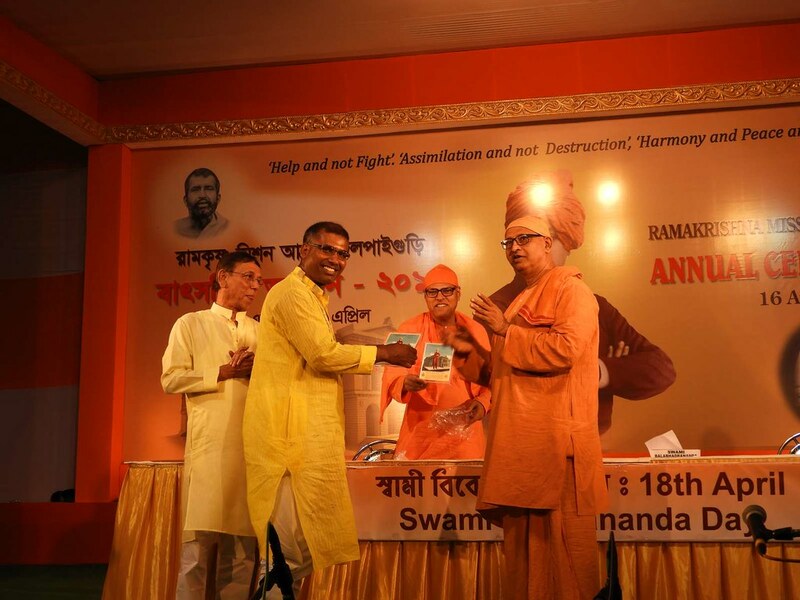 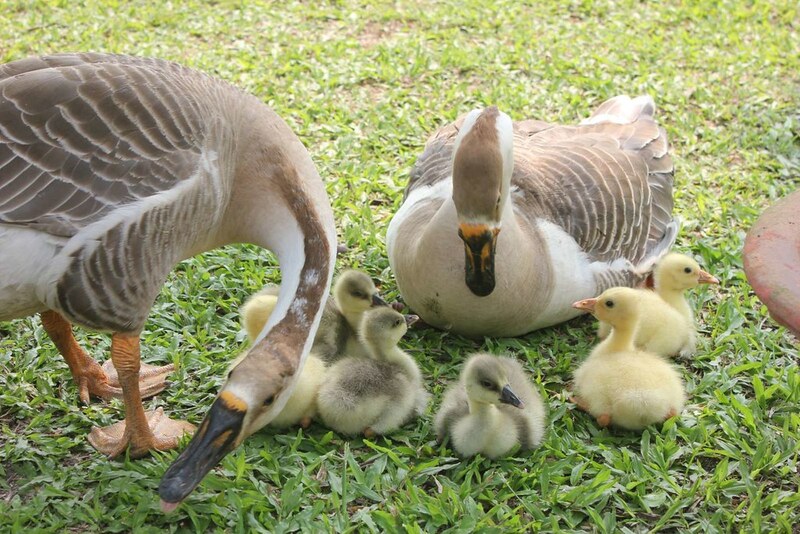 Most Revered Swami Suhitanandaji Maharaj, Swami Nikhileshwarananda, Swami Balabhadrananda, Swami Purnatmananda, Swami Vishwamayananda, Swami Vijneyananda, Swami Shivapradananda, Swami Animeshananda, Swami Divyavratananda, Swami Maheswarananada, Swami Shastrajnananda, Swami Chandrakantananda. 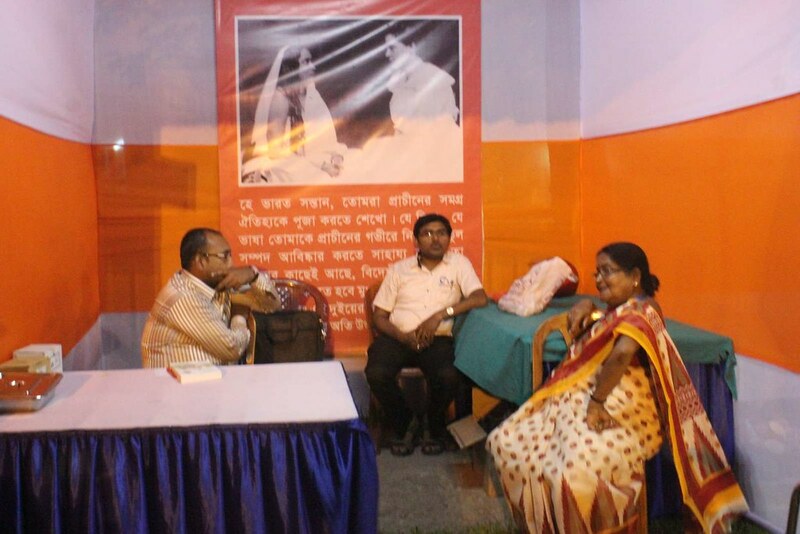 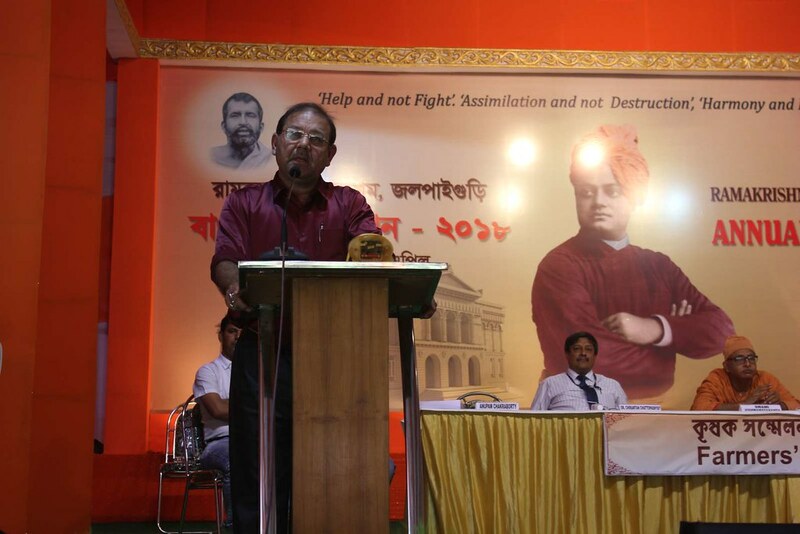 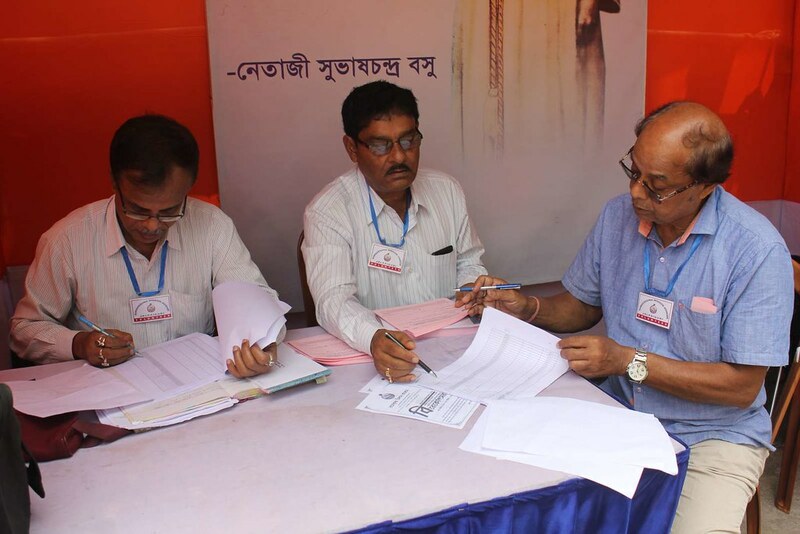 Dr.Chirantan Chattopadhyay (V.C., UBKV, CoochBehar), Sri Sudeepta Ghosh (Regional P.F. 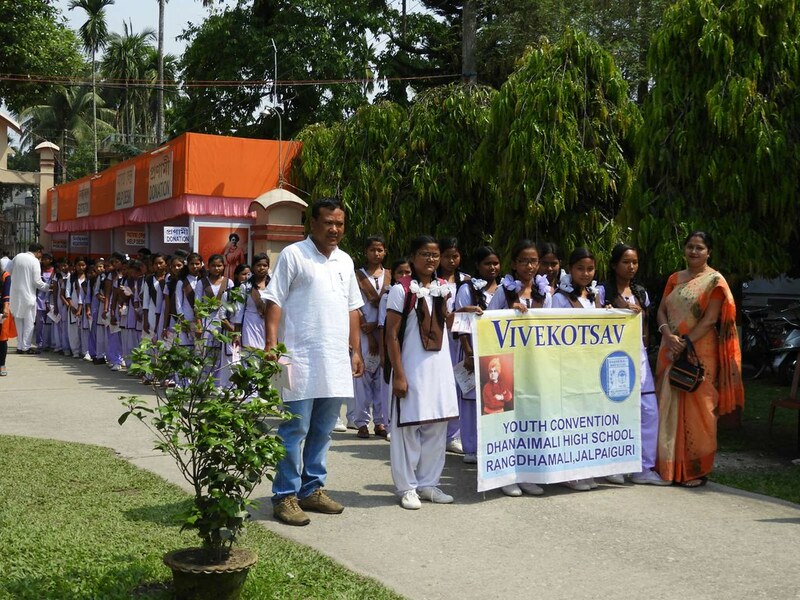 Commissioner, Jalpaiguri), Sri Subhendu Mukherjee (Head Master, Coronation H.S., Raiganj) and Sri Anupam Chakrabarty (Principal, RPF Training Centre) and Scientists from KVK Ramshai. 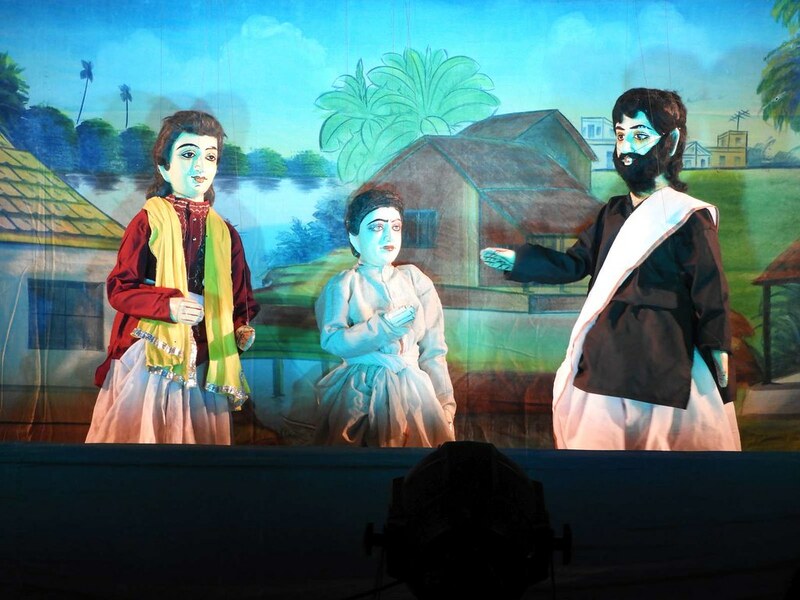 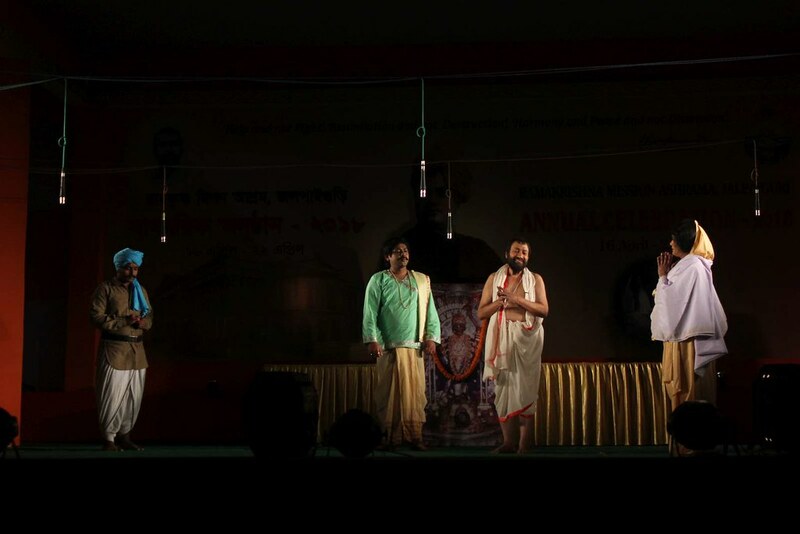 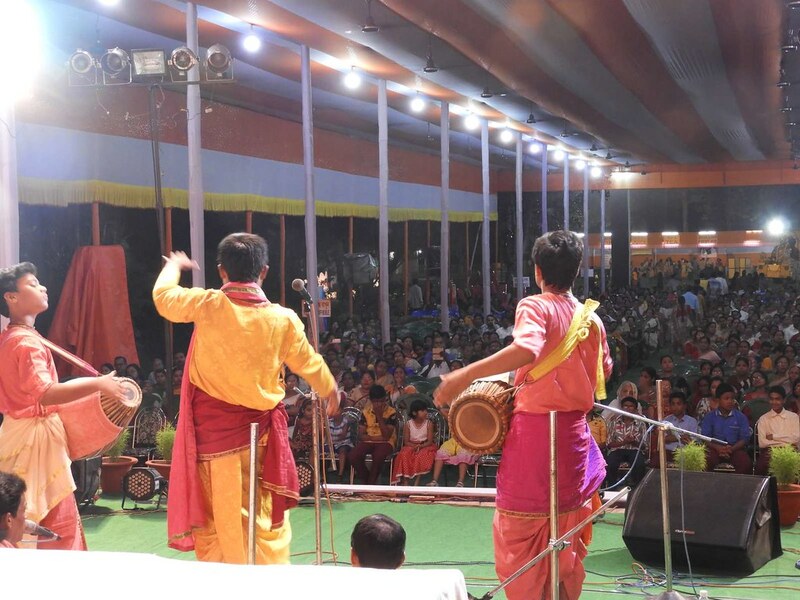 Sri Rahul Choudhury as Traditional Dancer; Binapani Samiti, Kolkata for Drama and Jatra; Sri Nilkamal Sannyal and Party, Assam as Dance Drama; Sri Ma Putul Natya Samaj, Nadia for Puppet Show; Sri Pravash Sikder as Padabali Kirtania; Sri Brajo Gopal Das Kolkata as Baul Singer; Yoga demonstration. 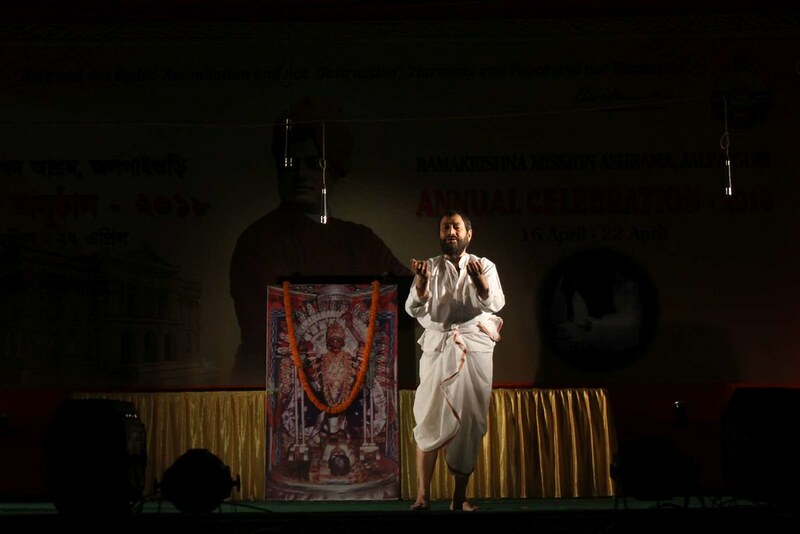 Discourses on Life and Teachings of Holy Trio, Sister Nivedita, Direct Disciples of Sri Ramakrishna and on Ramakrishna Order were made in the Evening Sessions. 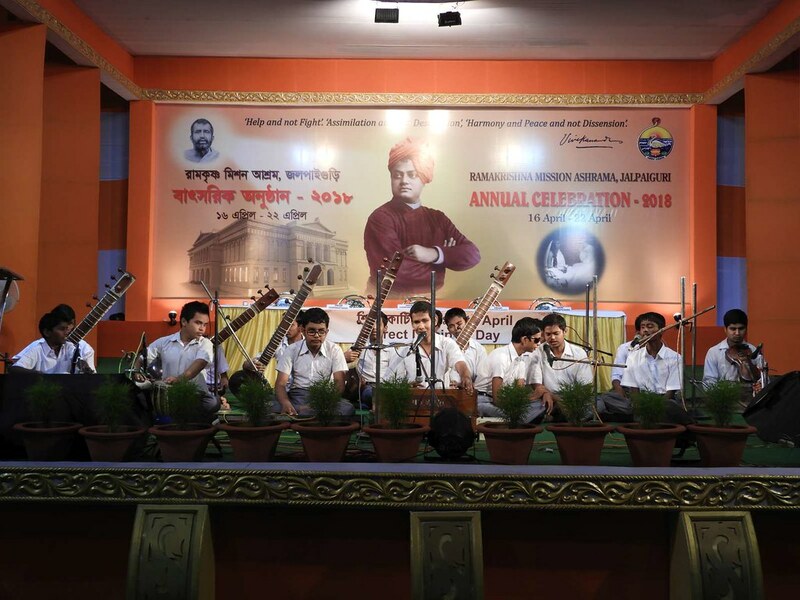 The evening sessions were open for all. 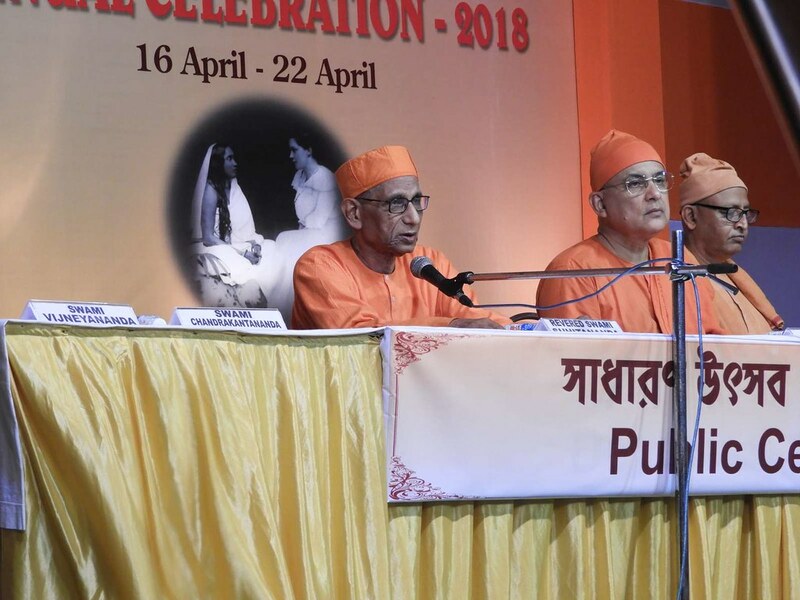 On 22 April 2018 a Grand Procession was organised where in India’s Contribution to the World in different fields were highlighted through tableau and day long discourses and cultural programme were organised. 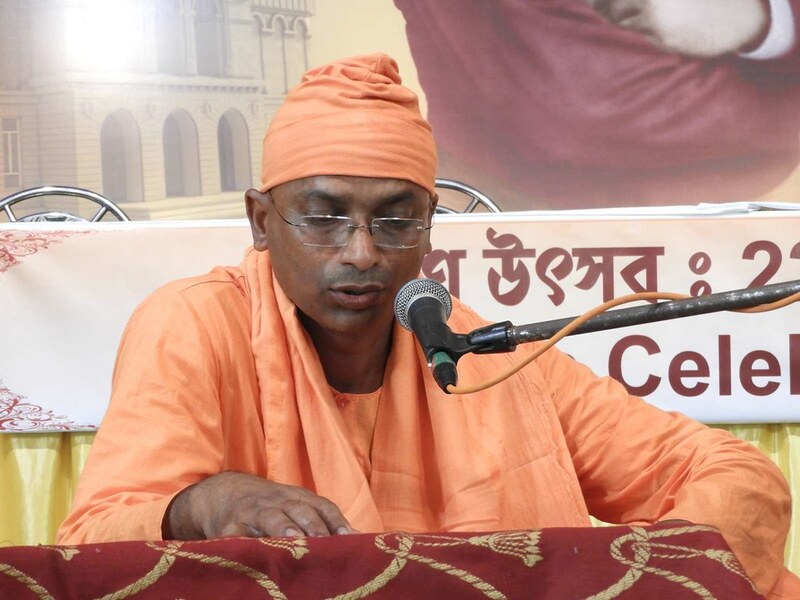 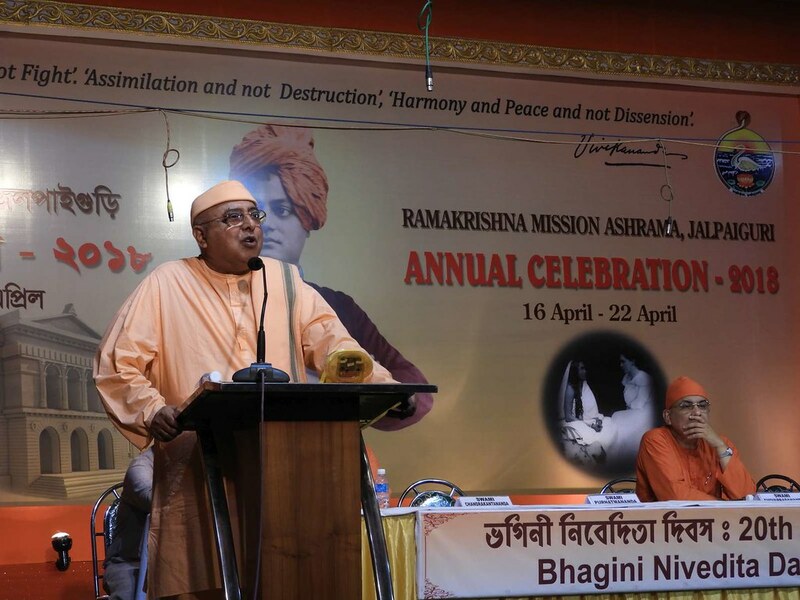 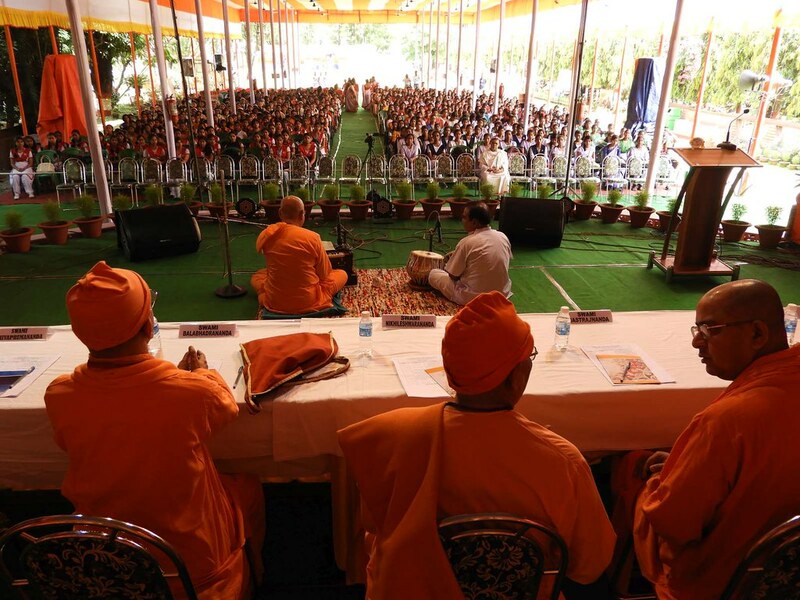 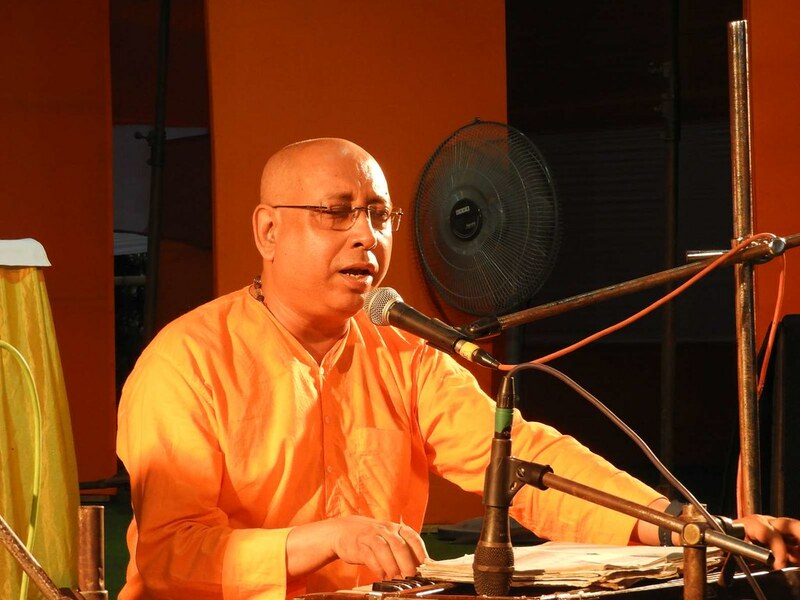 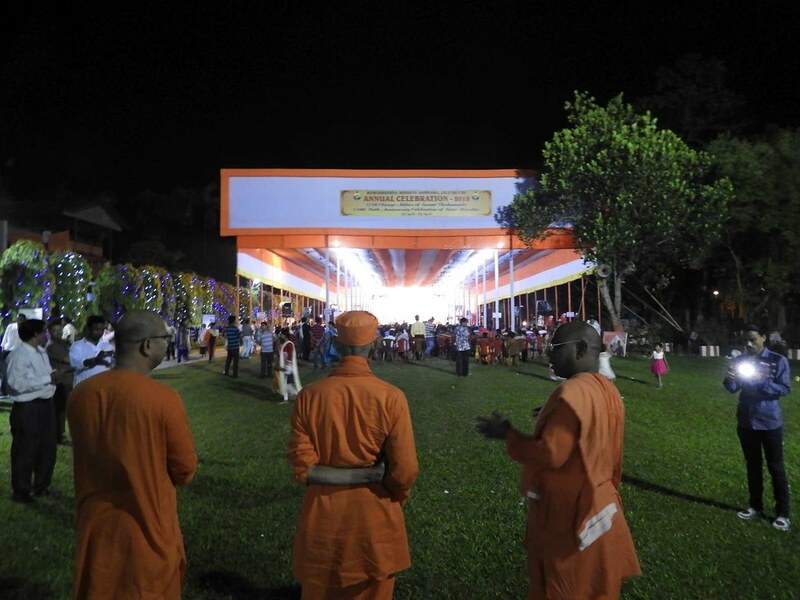 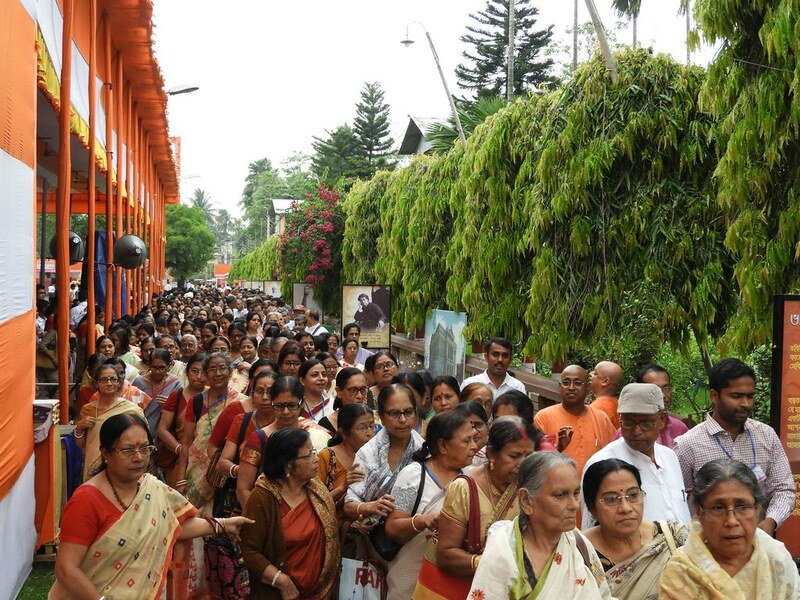 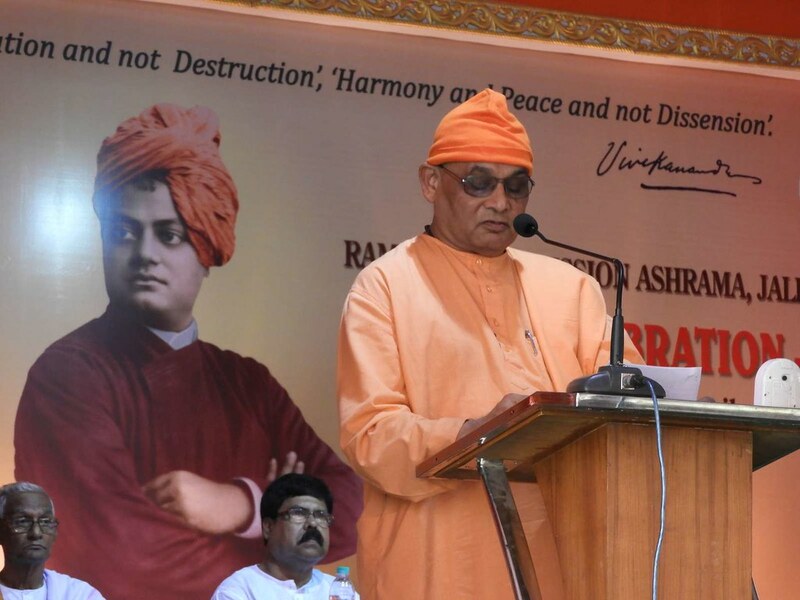 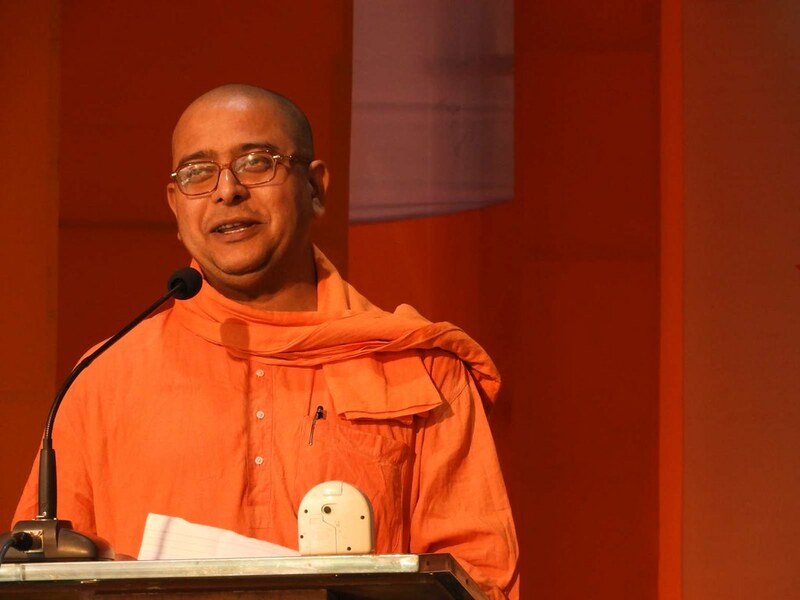 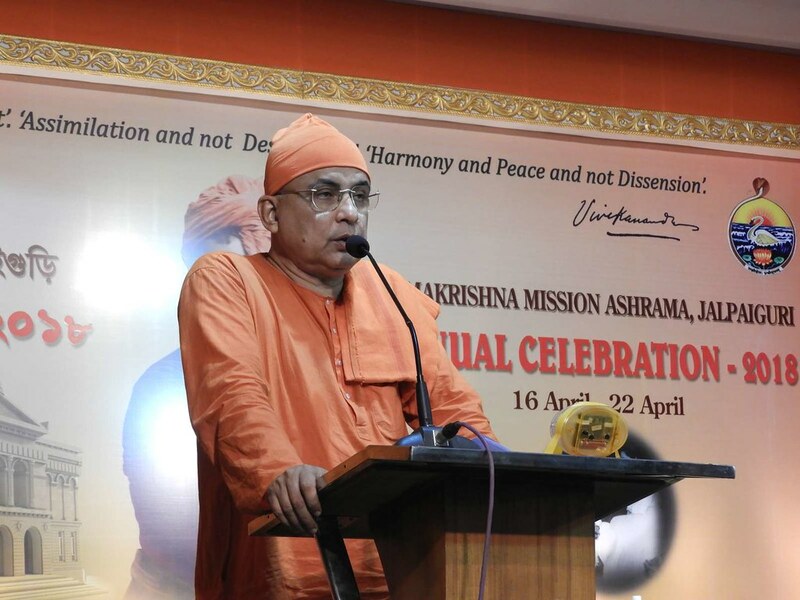 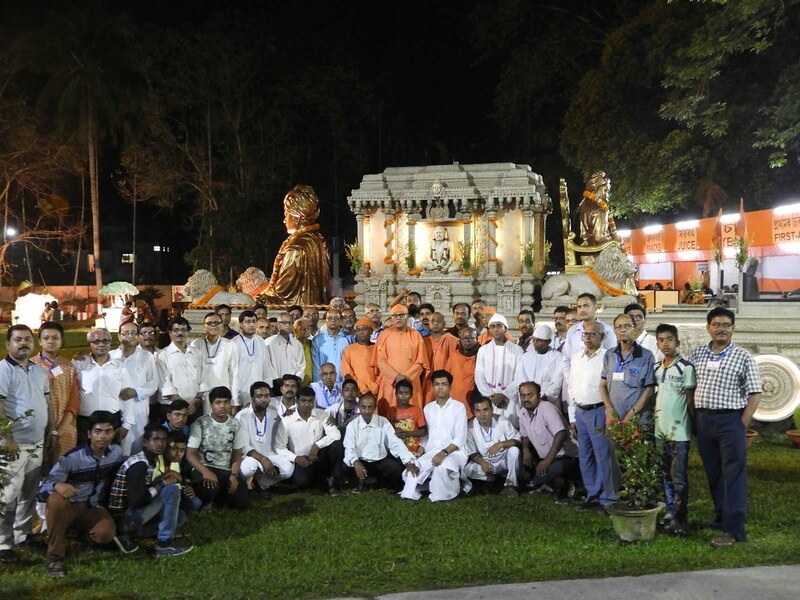 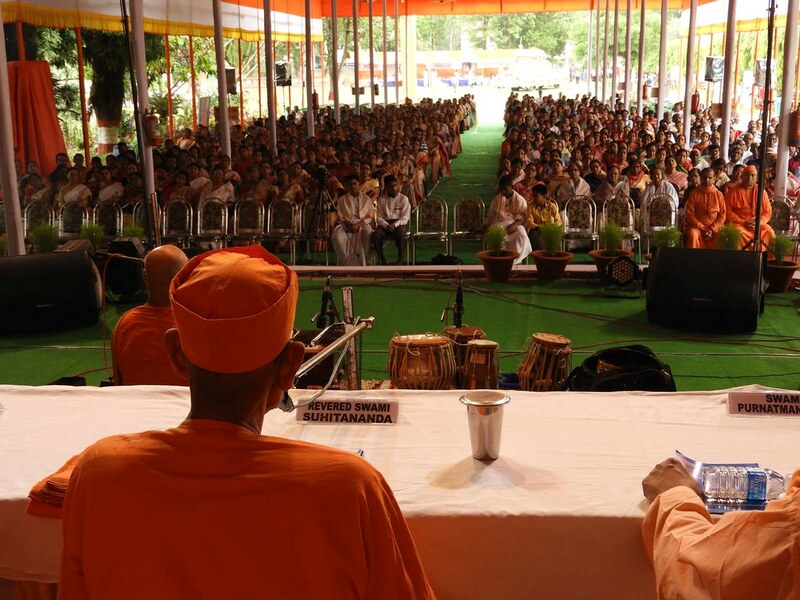 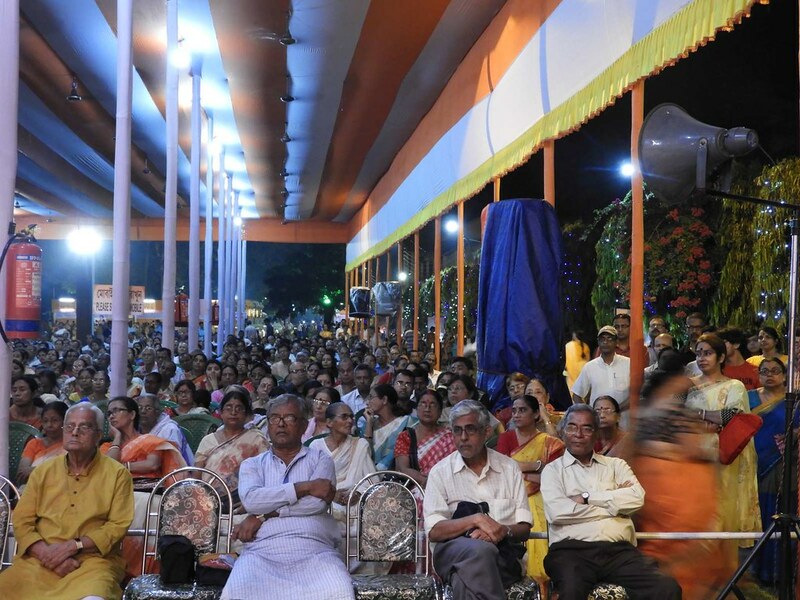 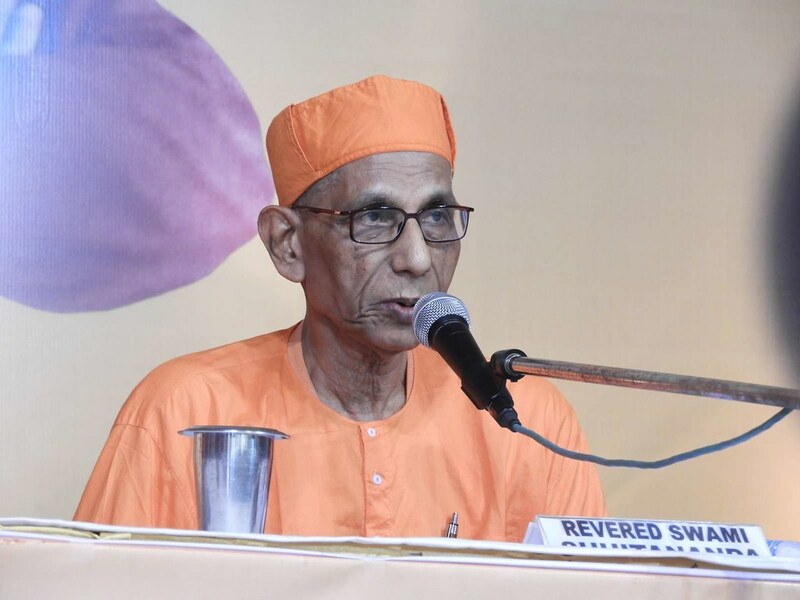 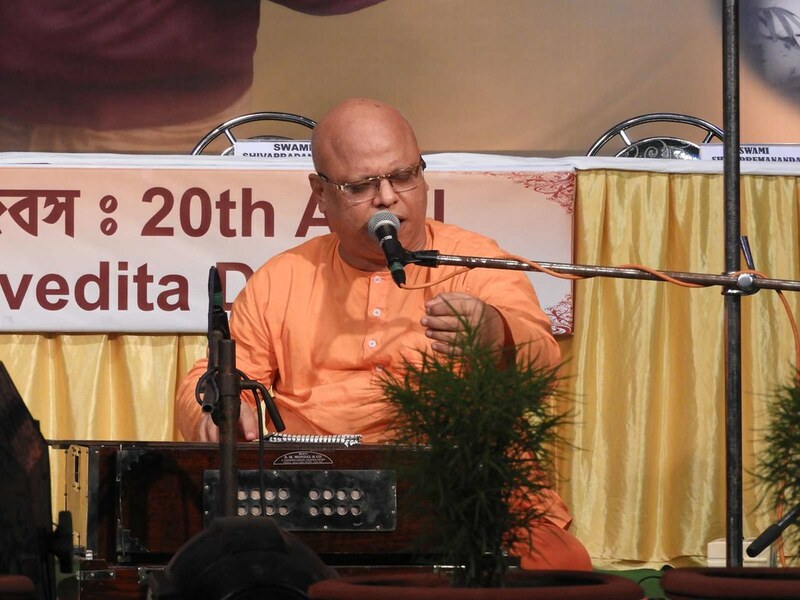 Most Revered Swami Suhitanandaji Maharaj, Vice President, Ramakrishna Math and Ramakrishna Mission, Belur Math kindly stayed at the Ashrama for five days and initiated devotees on three days. 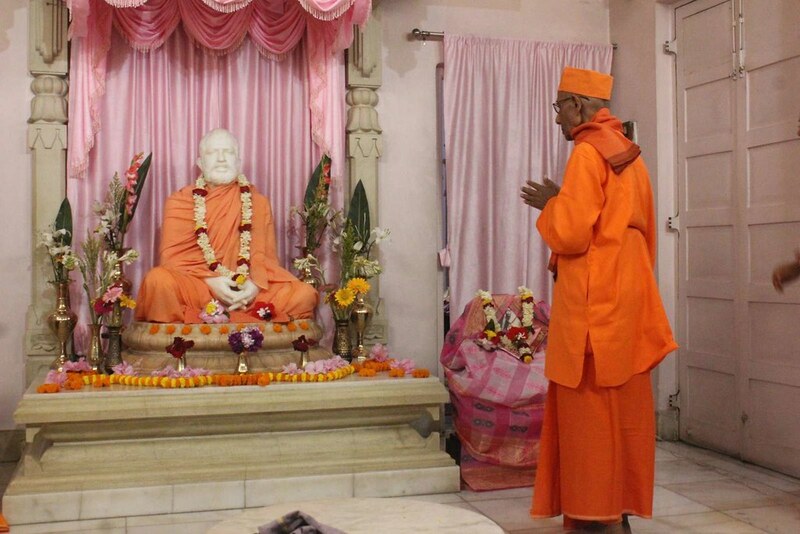 His kind stay in the Ashrama and His Benedictory Address showered gladness and happiness among spiritual seekers, devotees and admirers. 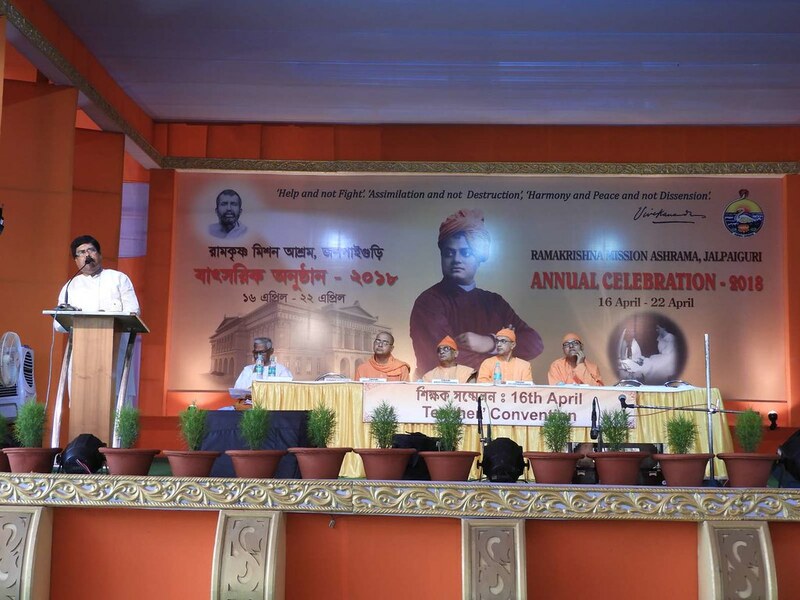 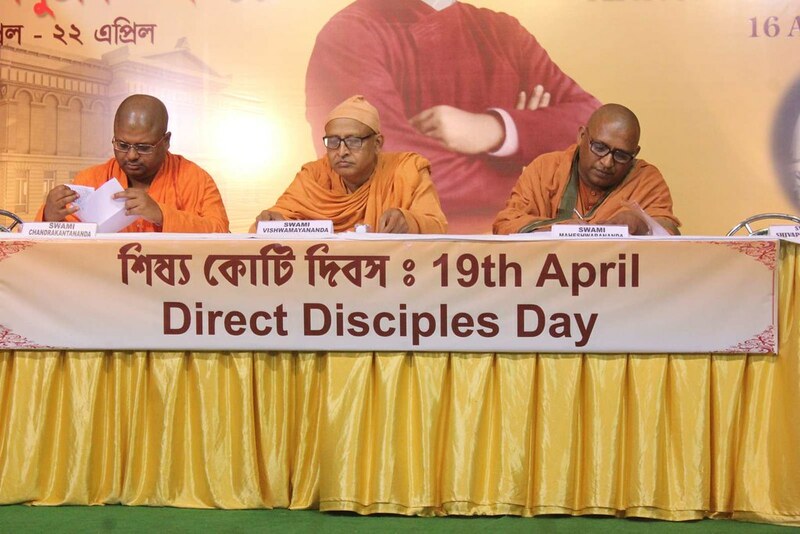 The speeches in Bengali, Hindi and in English of the Monastics and Guest Speakers and the other programmes were highly applauded by the audience. 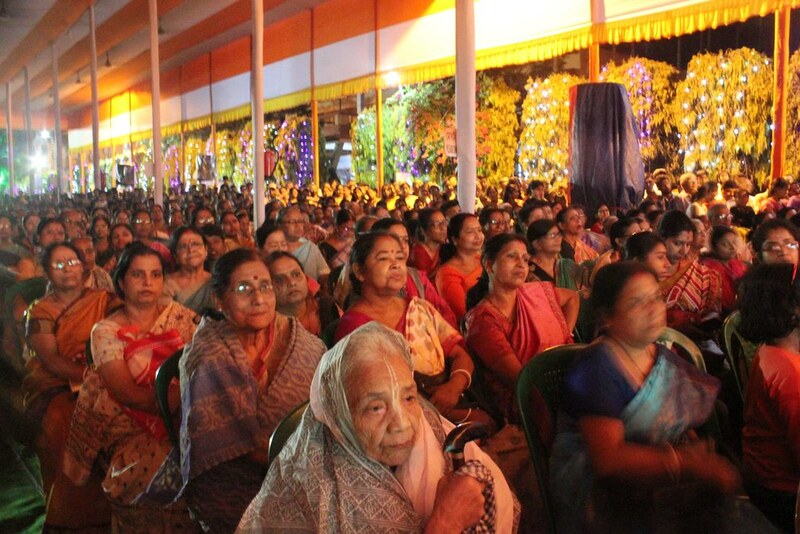 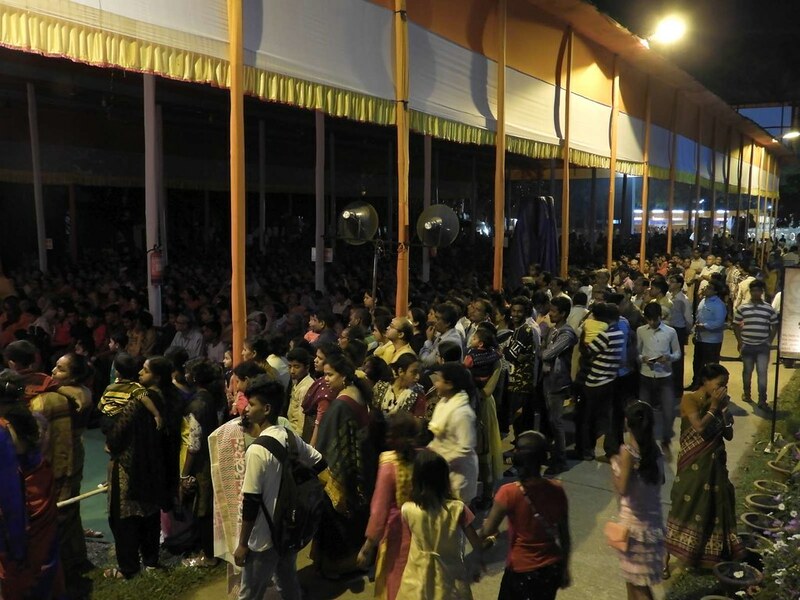 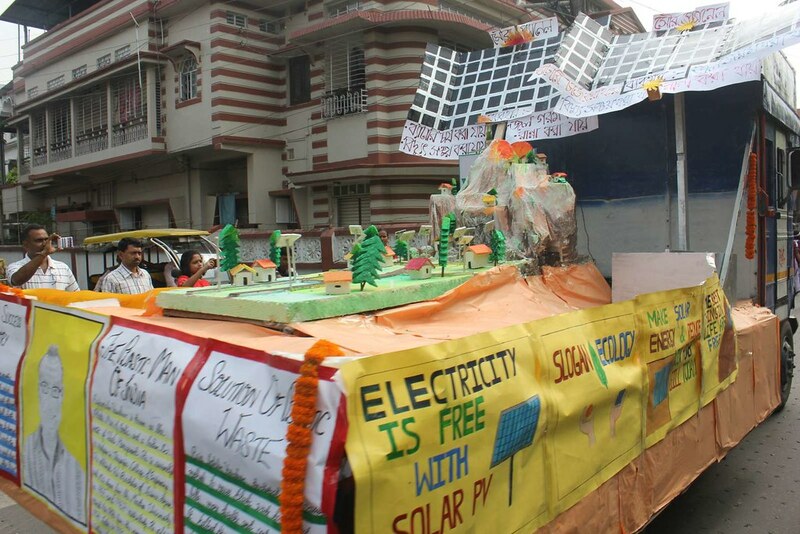 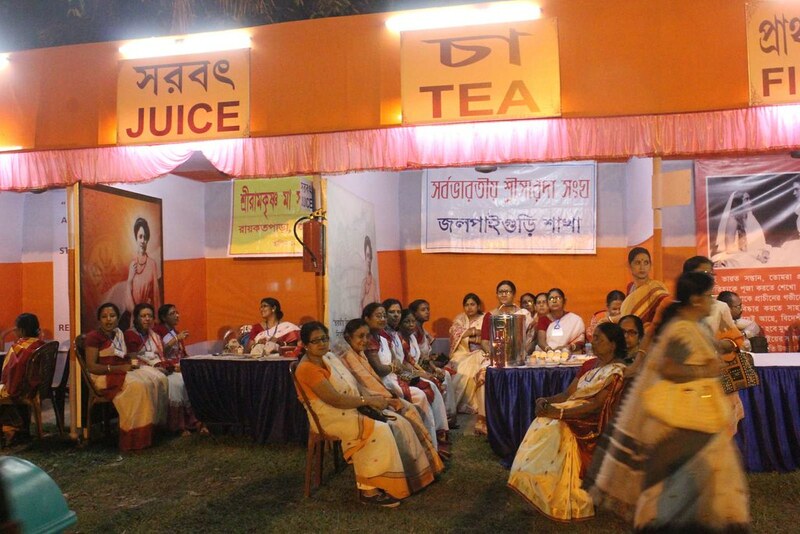 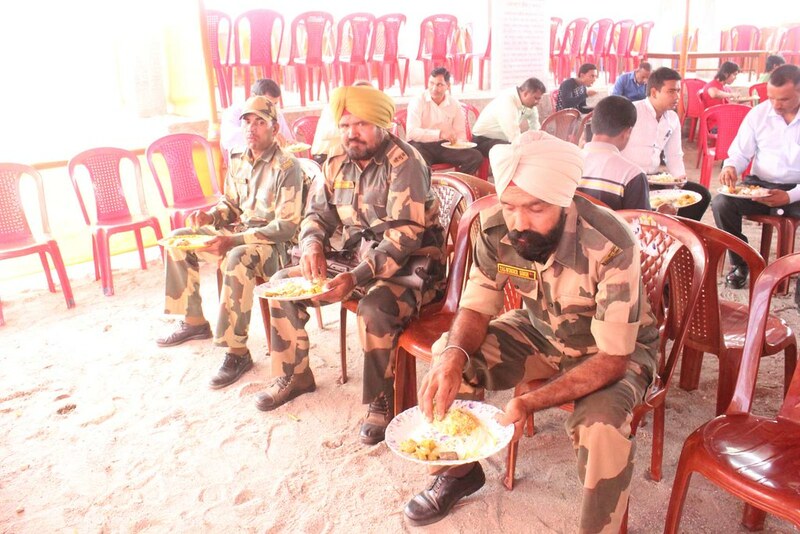 About 18000 people benefited from this celebration. 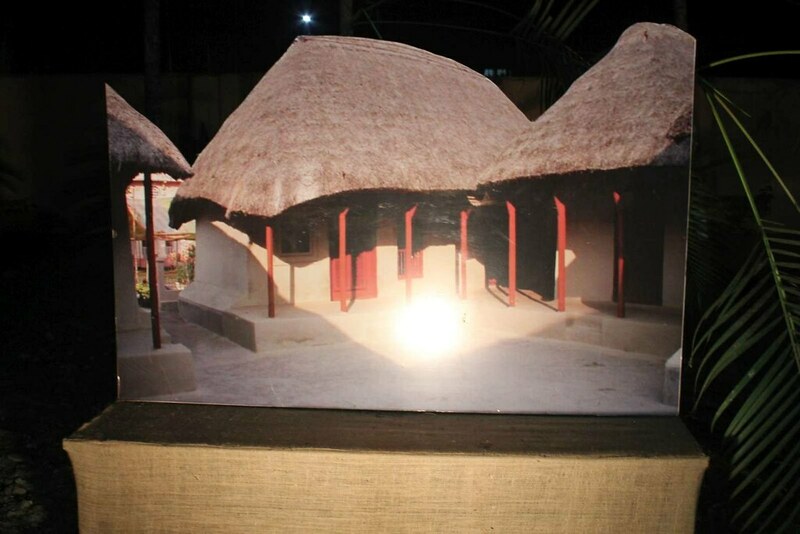 It would also be worthwhile to mention here that the residents arranged to accommodate 200 residential delegates in their houses. 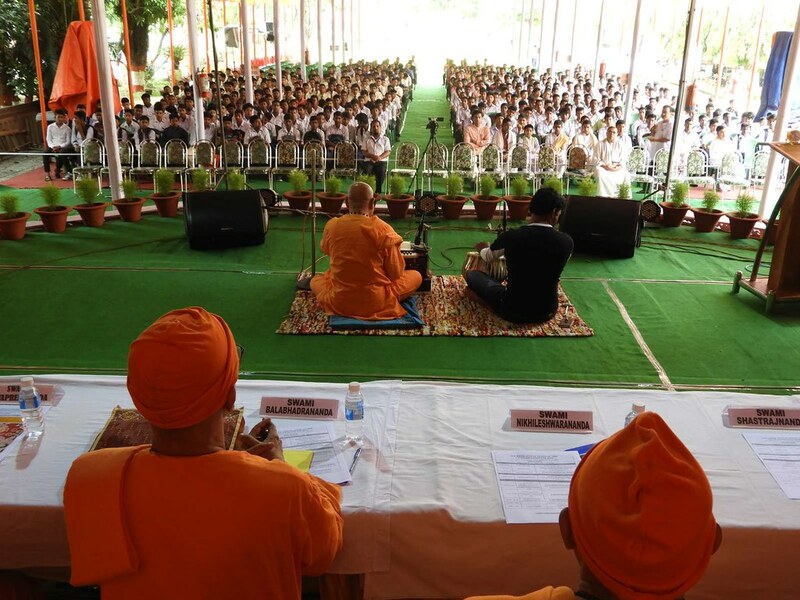 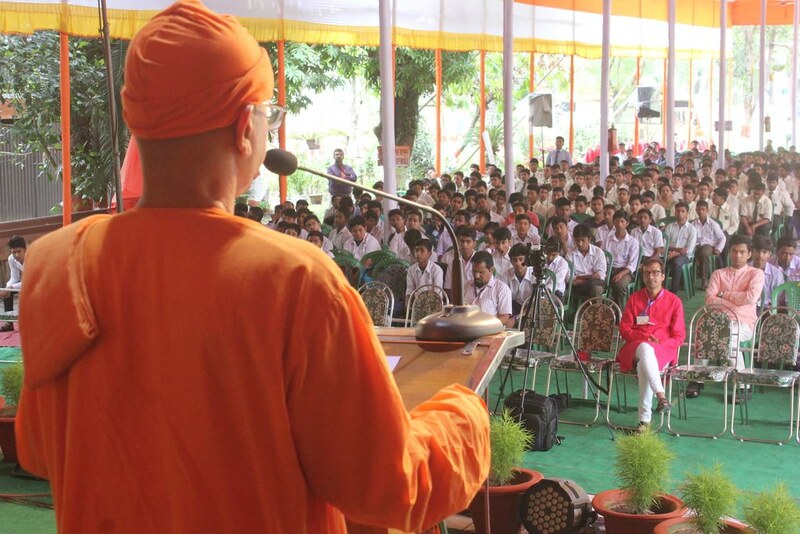 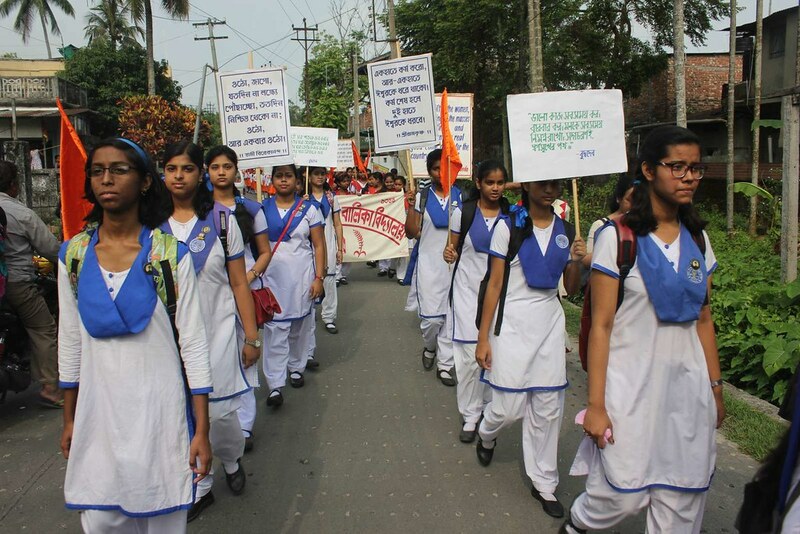 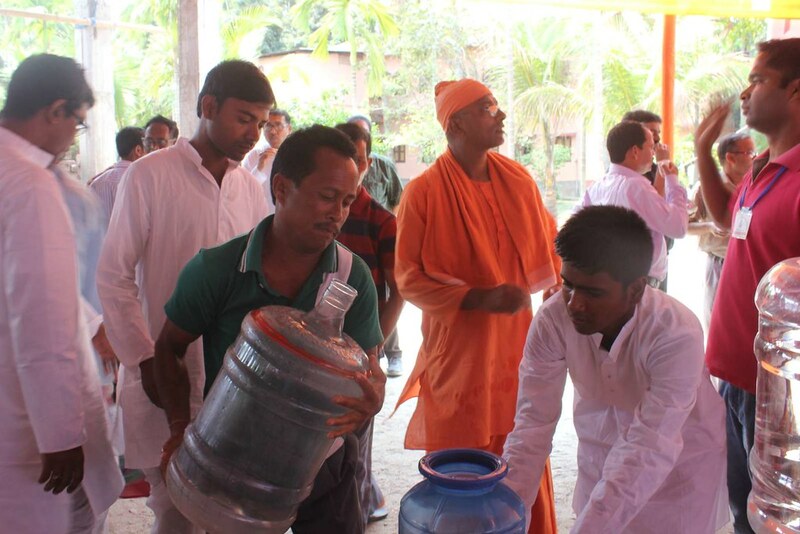 Sri Sarada Sangha, Sri Ramakrishna Maa Sarada Pathachakra, Vivekananda Yuva Mahamandal , Office Bearers and Members of Uttaranchal Ramakrishna-Vivekananda Bhava Prachar Parishad , Sabar Swamiji Sangha, JYCC Club and other educational institutions have participated in this programme. 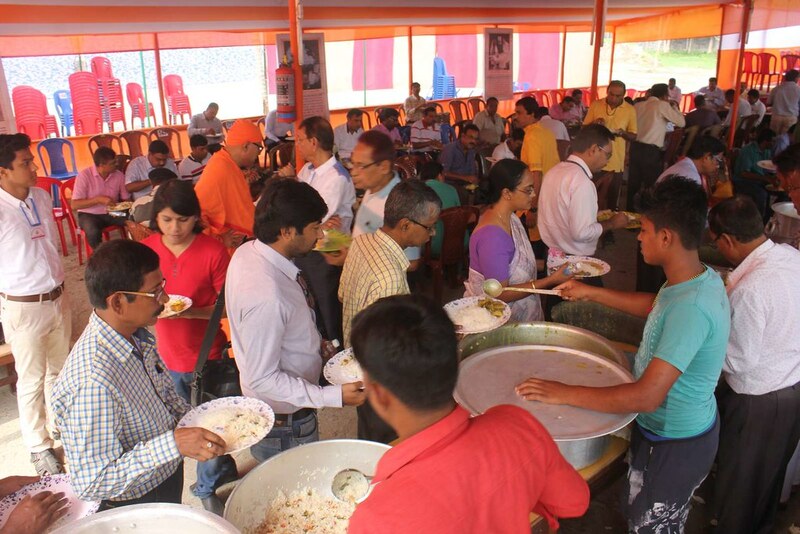 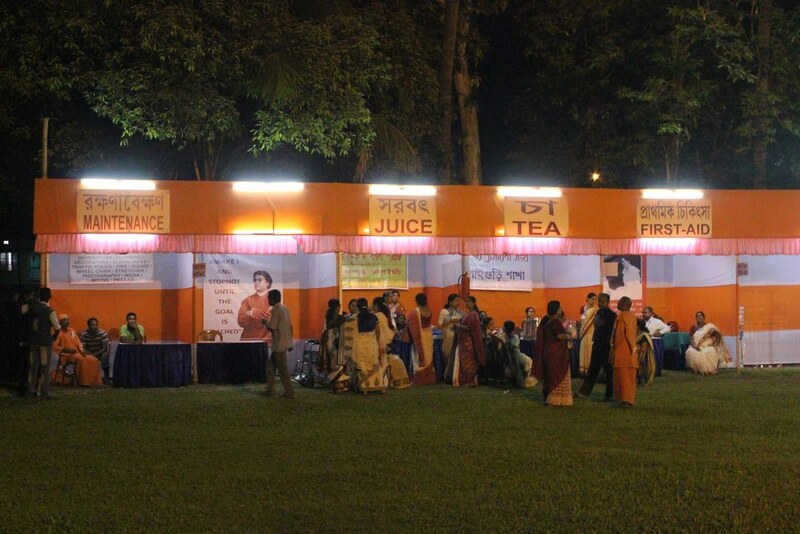 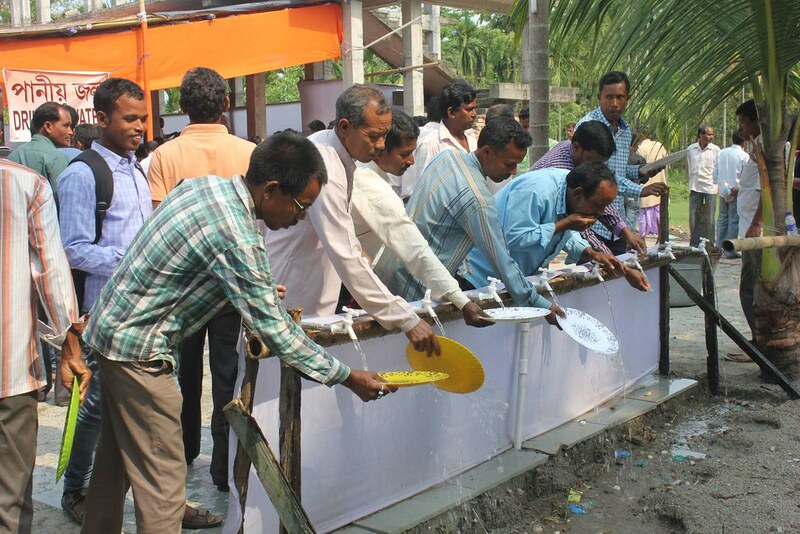 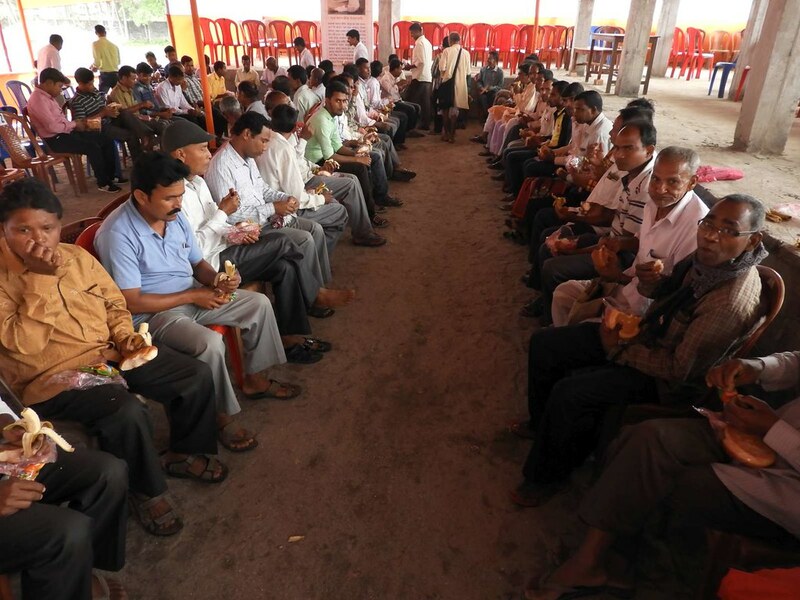 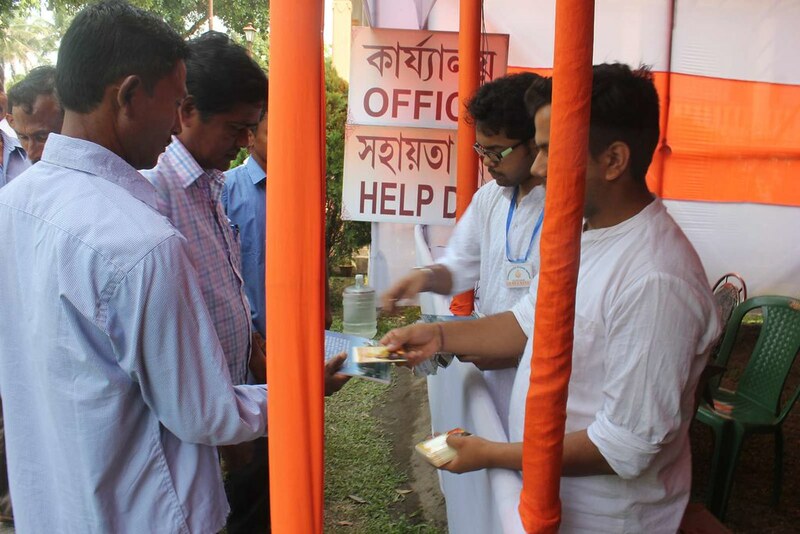 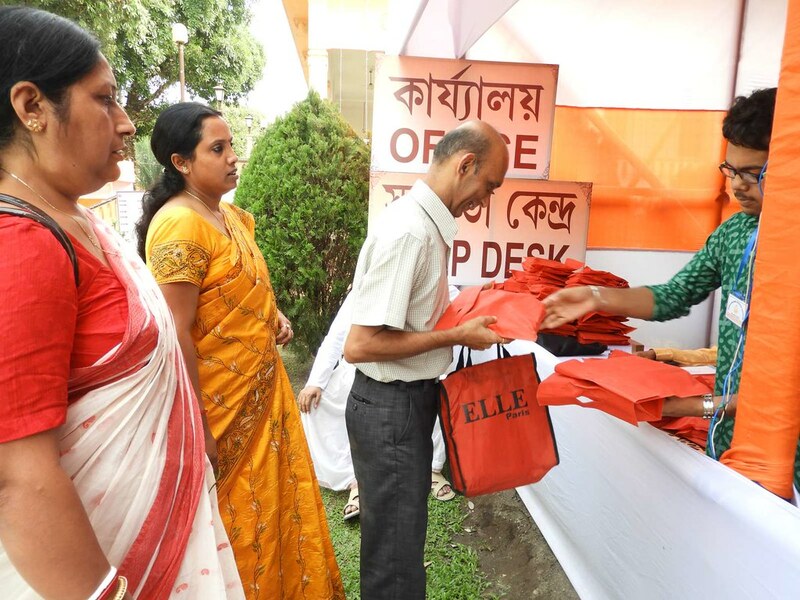 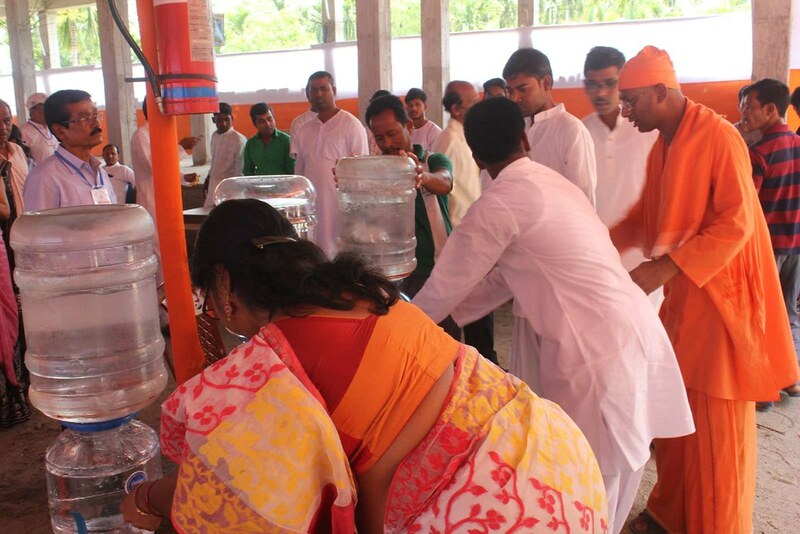 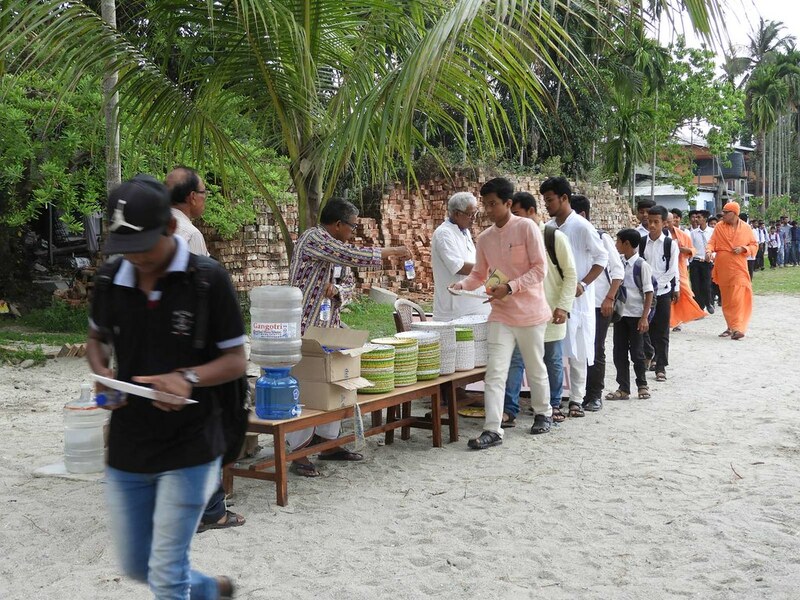 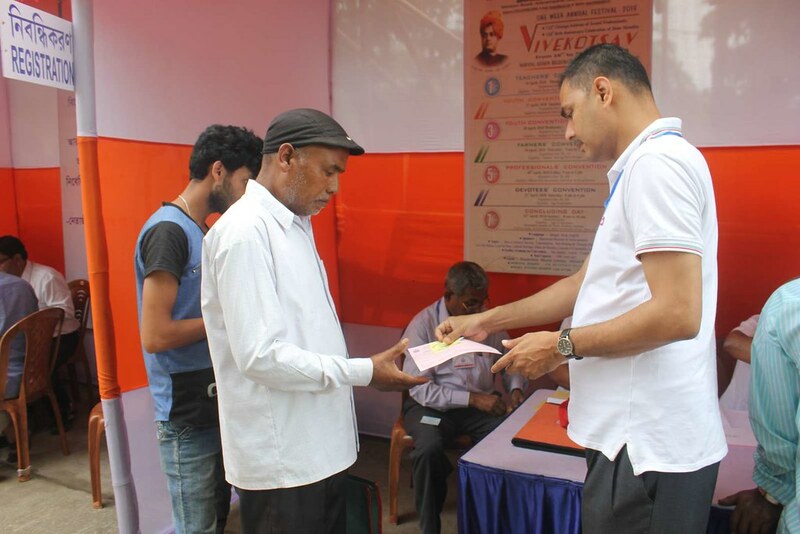 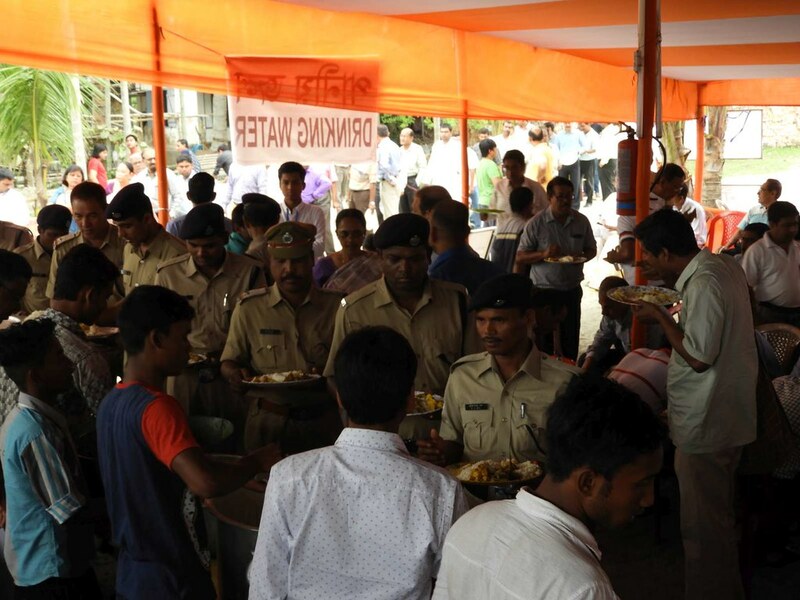 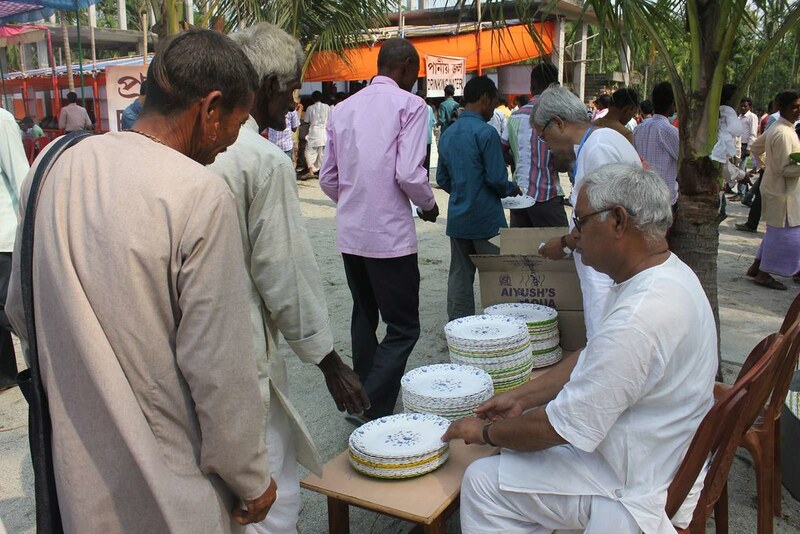 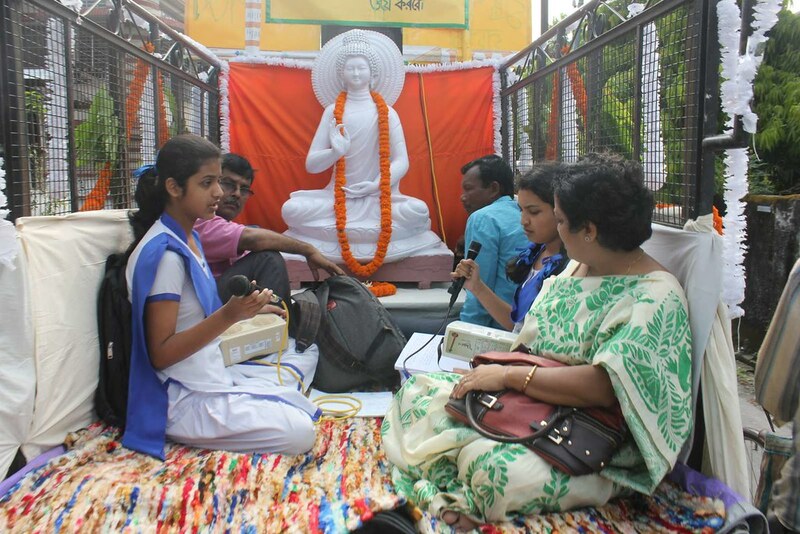 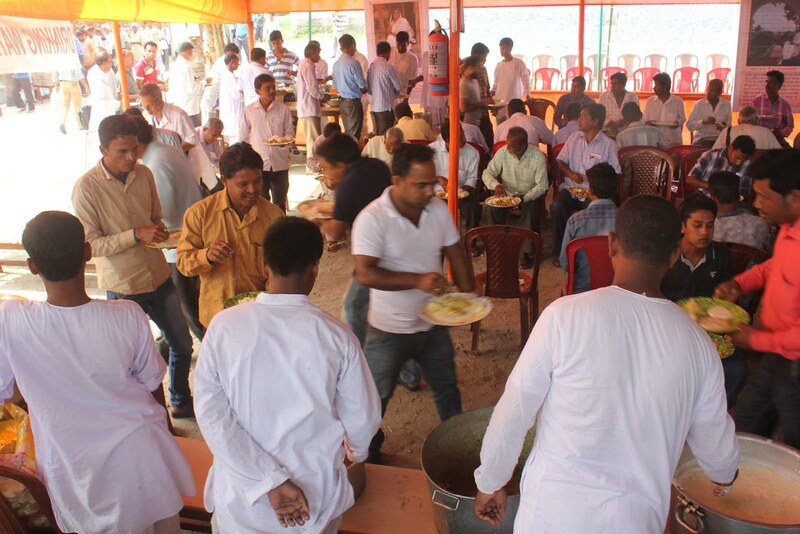 Volunteers from different Ashramas rendered services to make the programme successful. 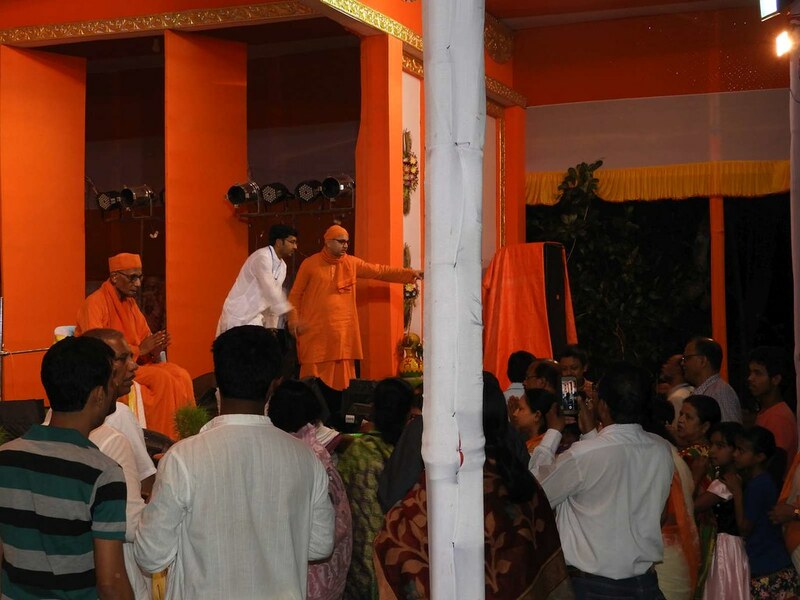 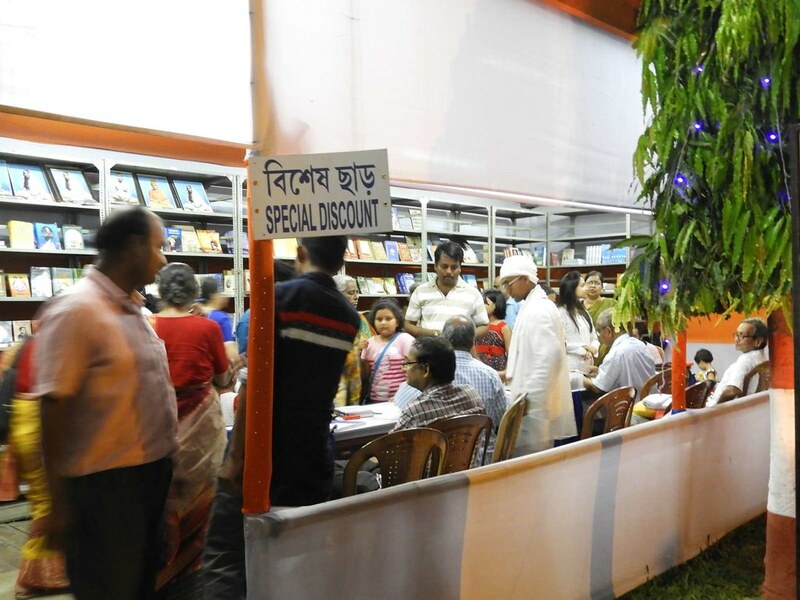 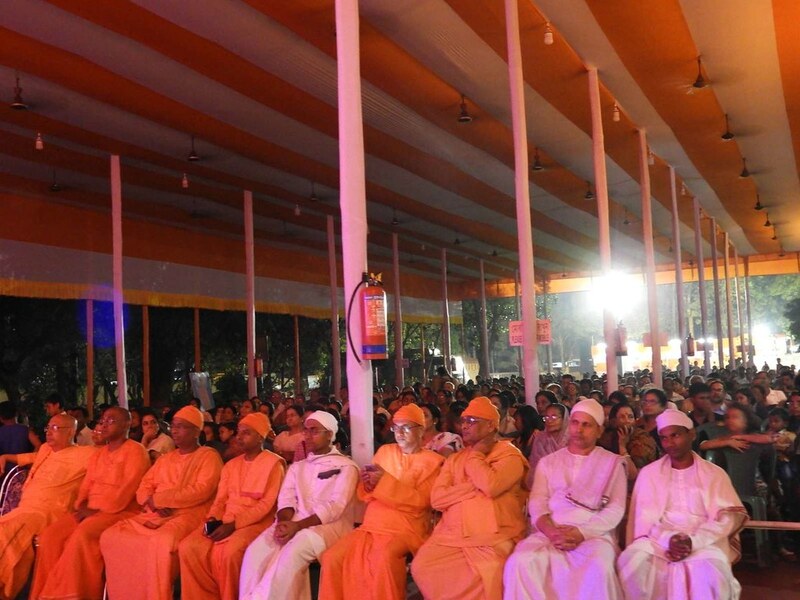 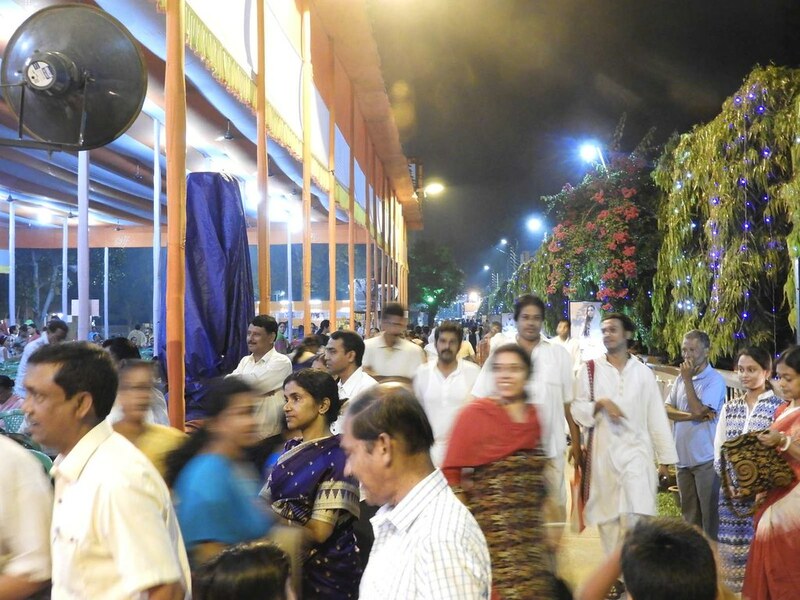 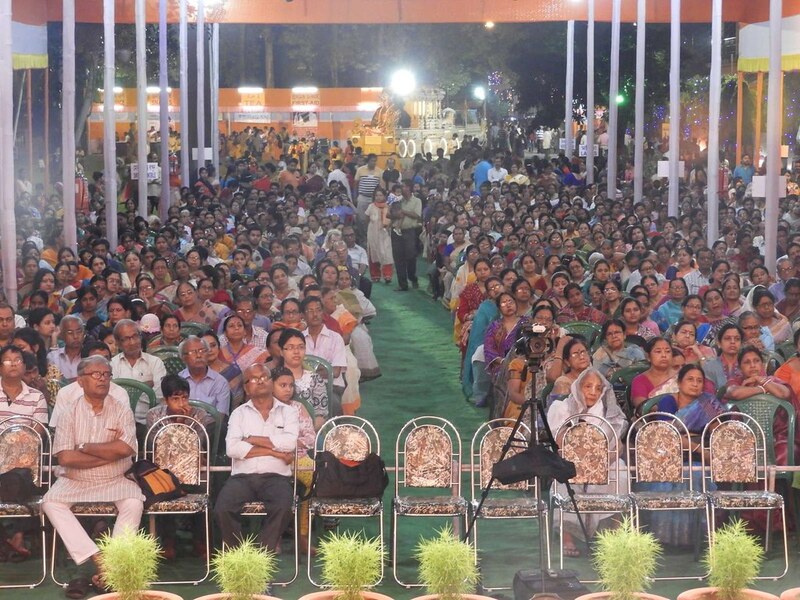 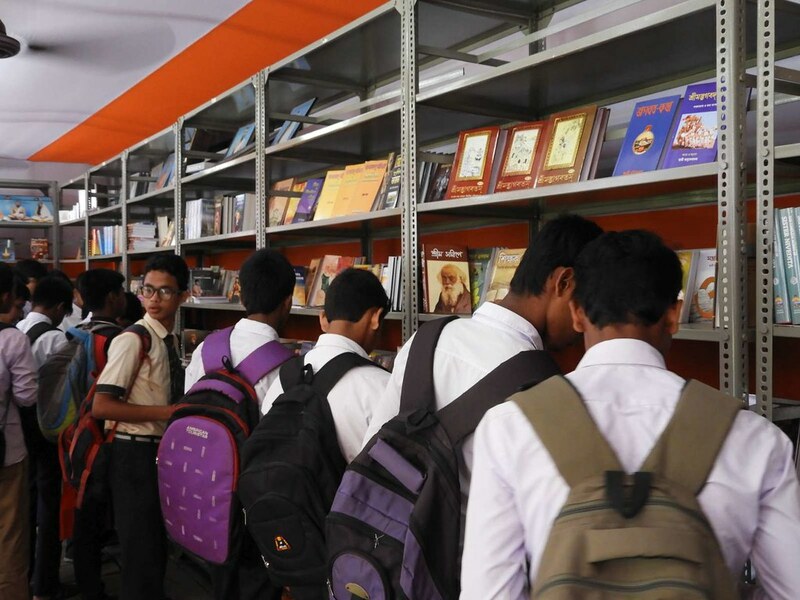 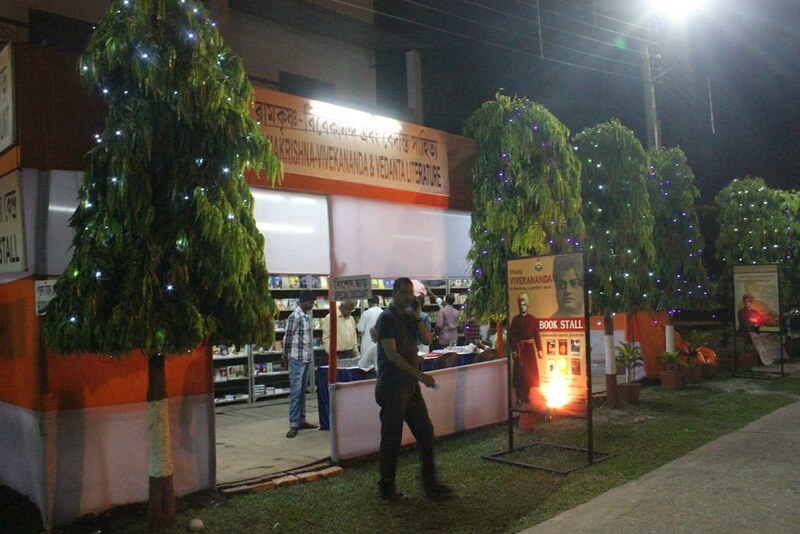 A book stalls with huge number of books in multilingual languages attracted large number visitors and who acquired variety of books on Thakur –Maa-Swamiji and on Indian cultural and religion. 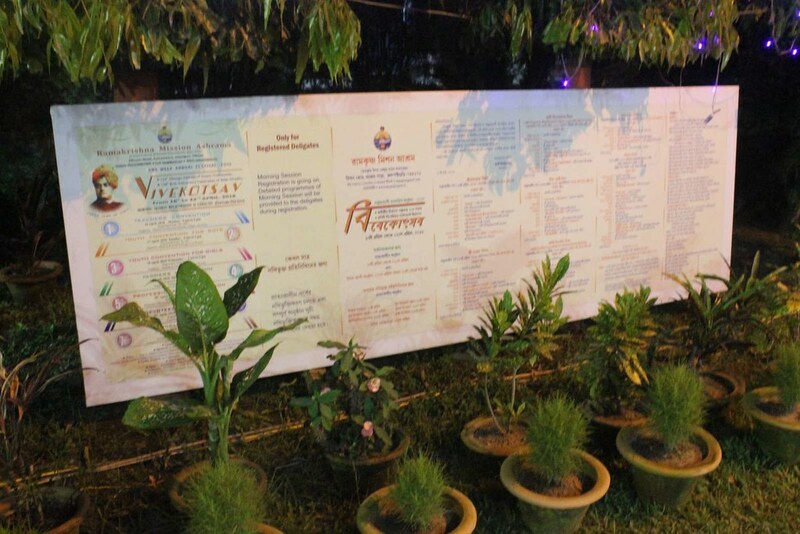 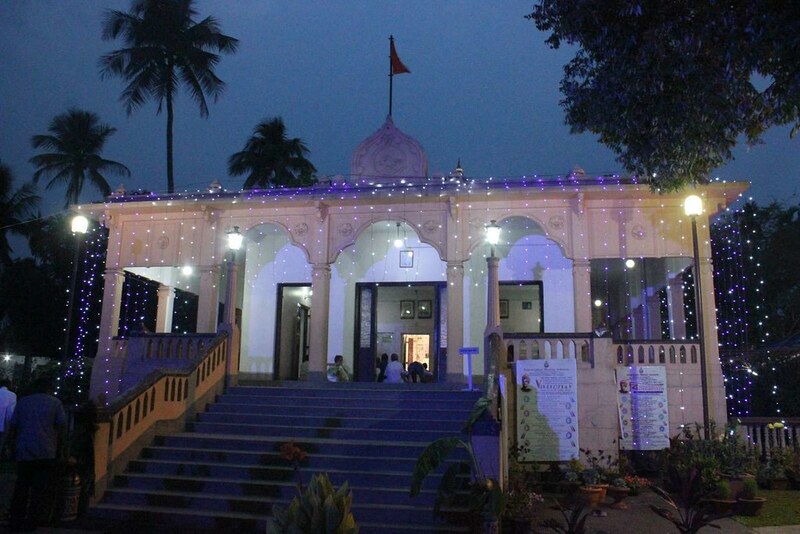 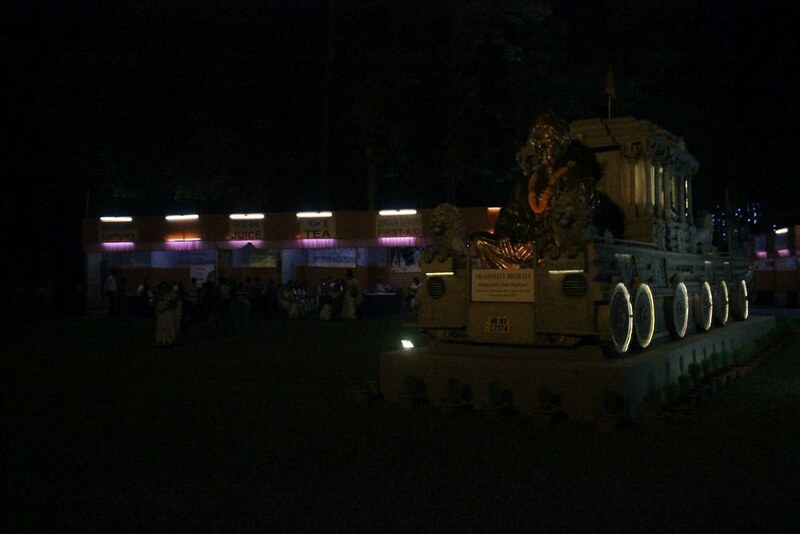 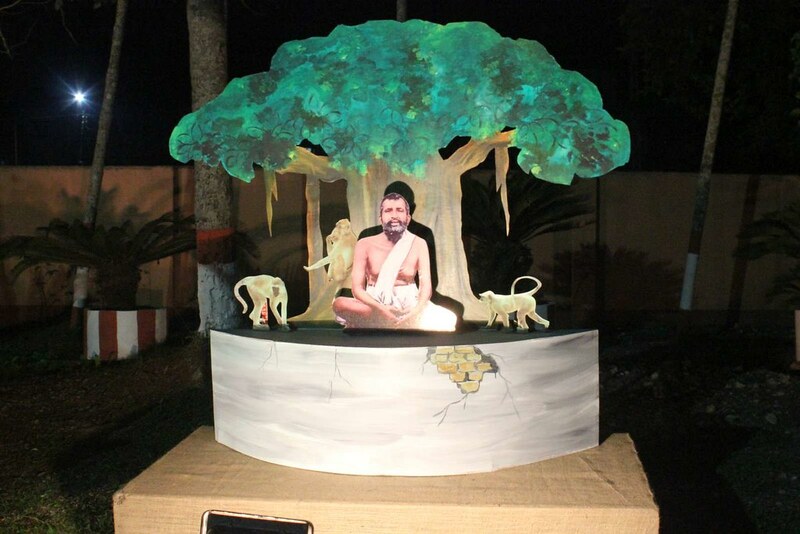 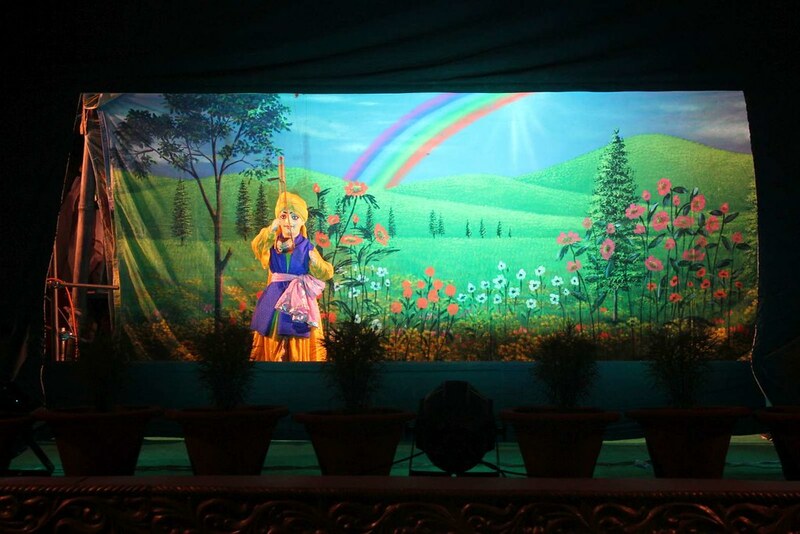 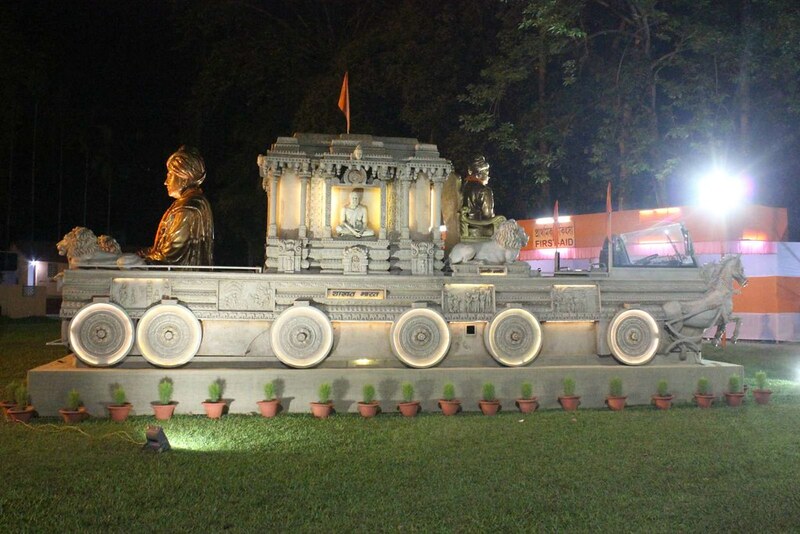 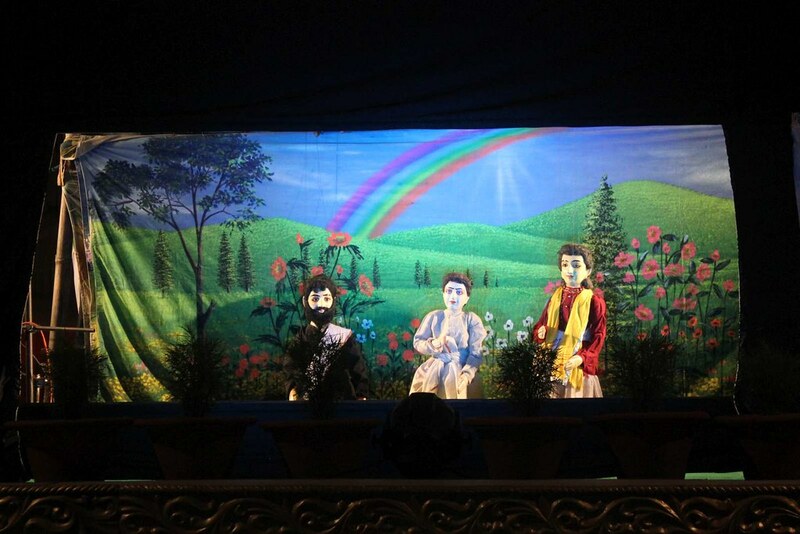 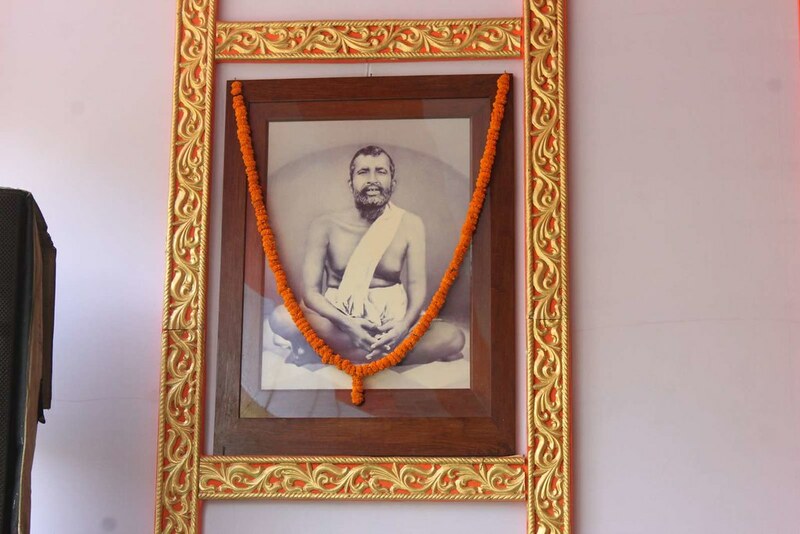 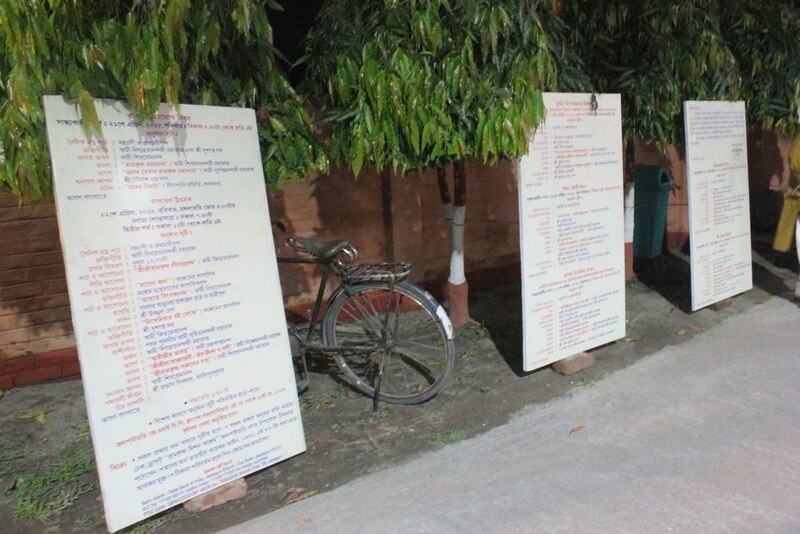 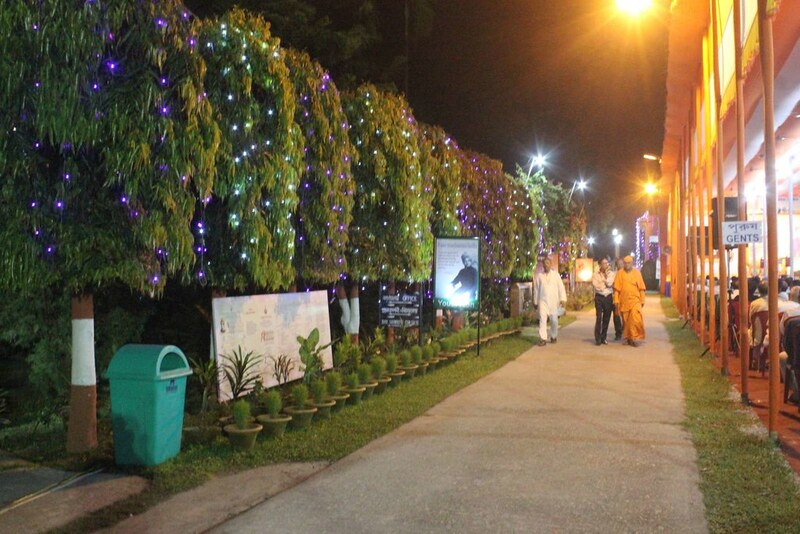 The Ashrama premises were decorated with various materials depicting pictorial life and teachings of the Holy Trio. 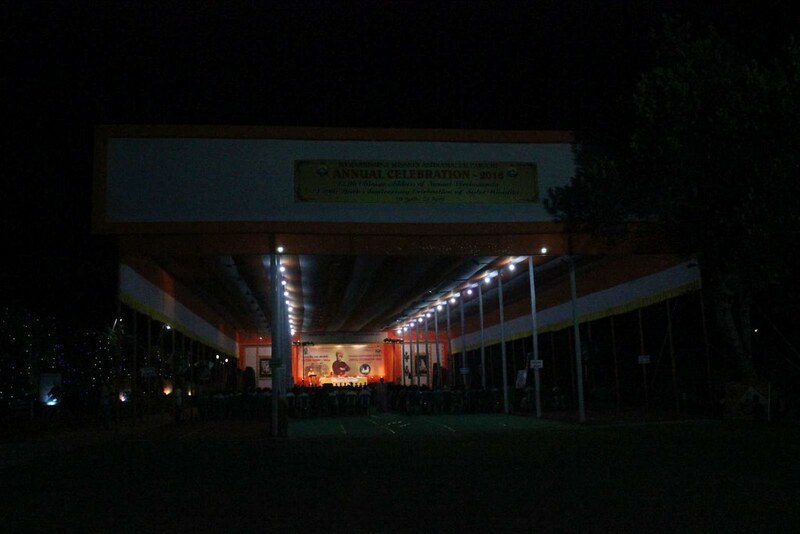 The weather was very pleasant throughout. 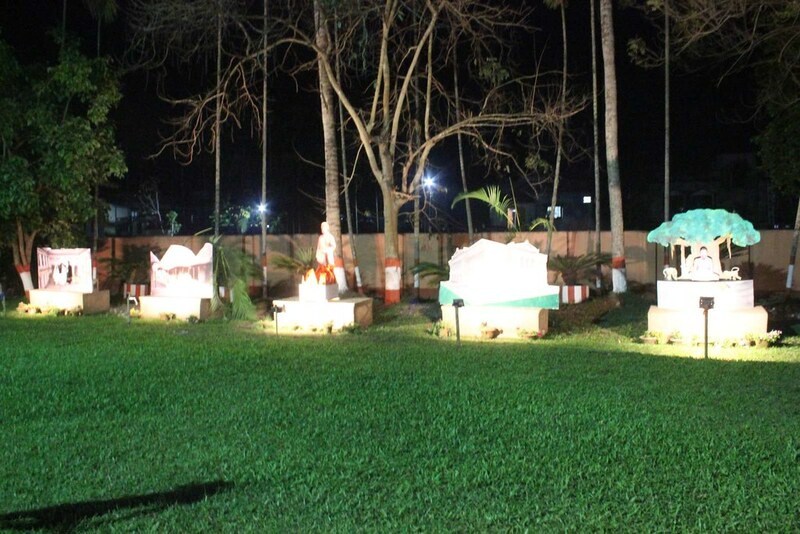 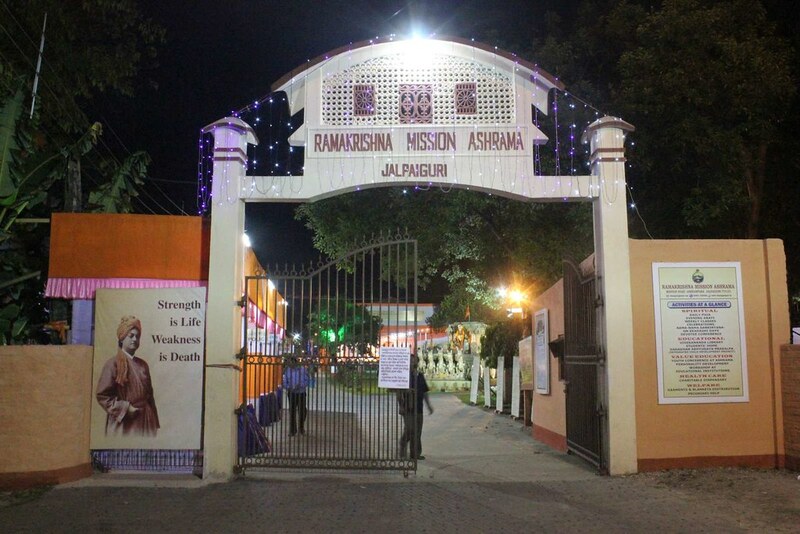 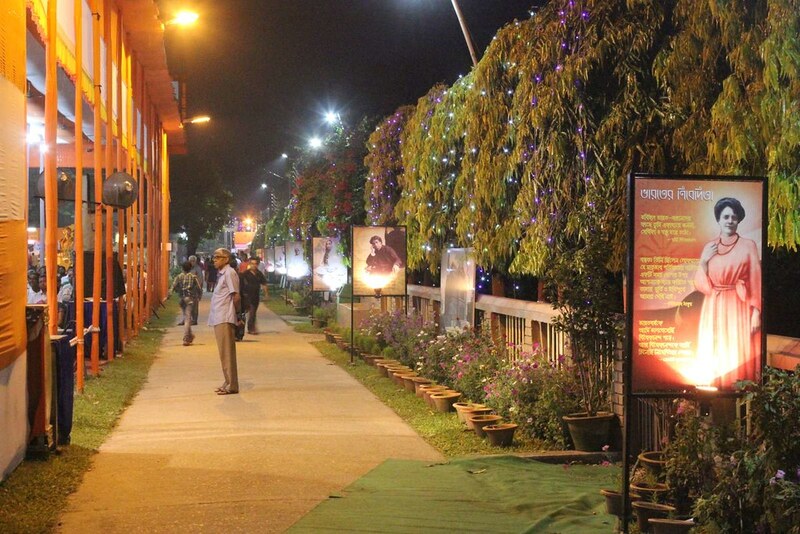 The houses on Mission road Ashrama para were illuminated with lamps and boundary walls were colourfully painted by the residents spontaneously. 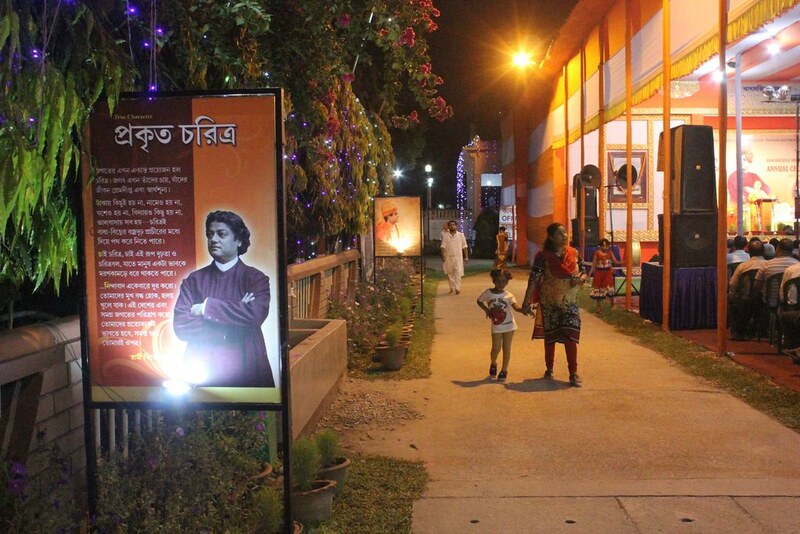 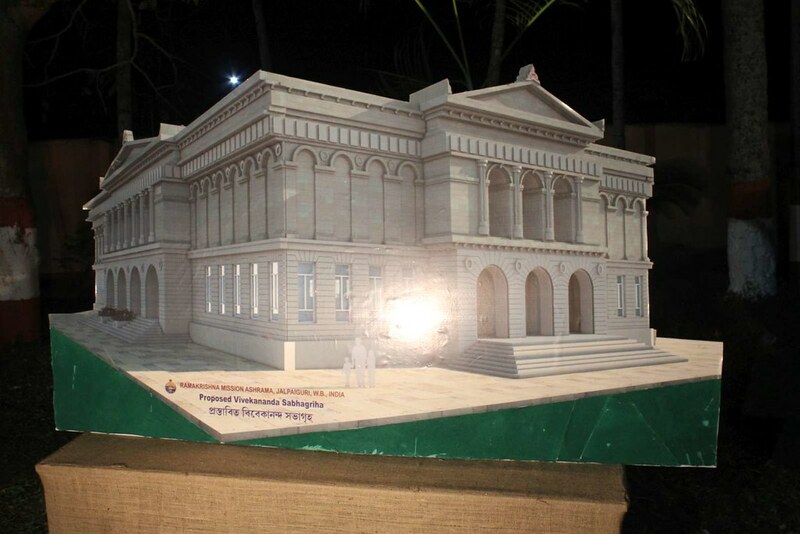 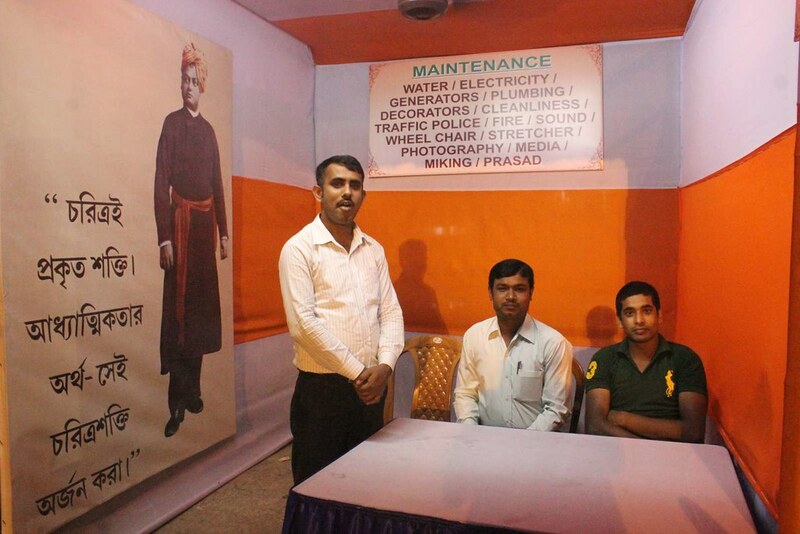 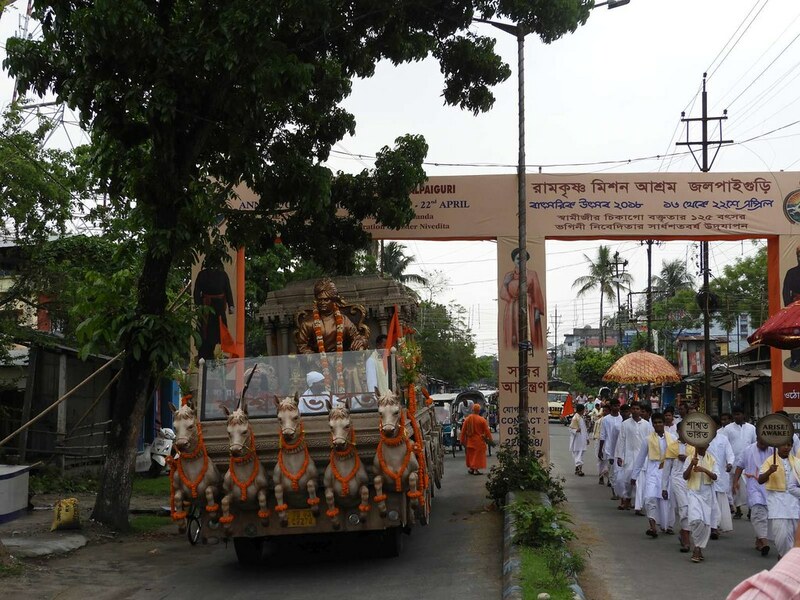 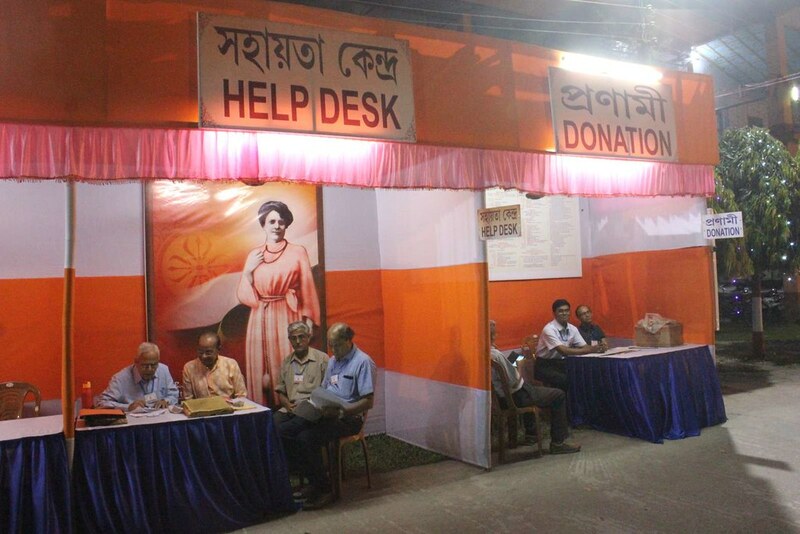 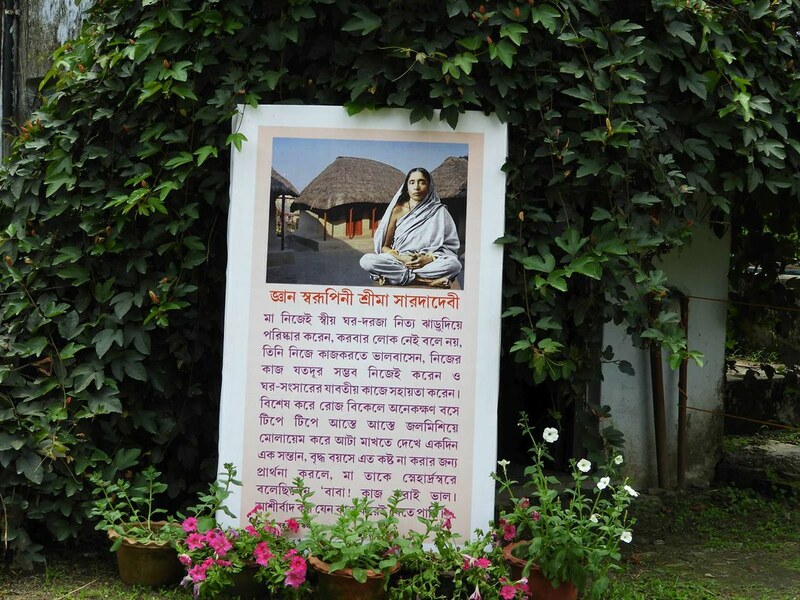 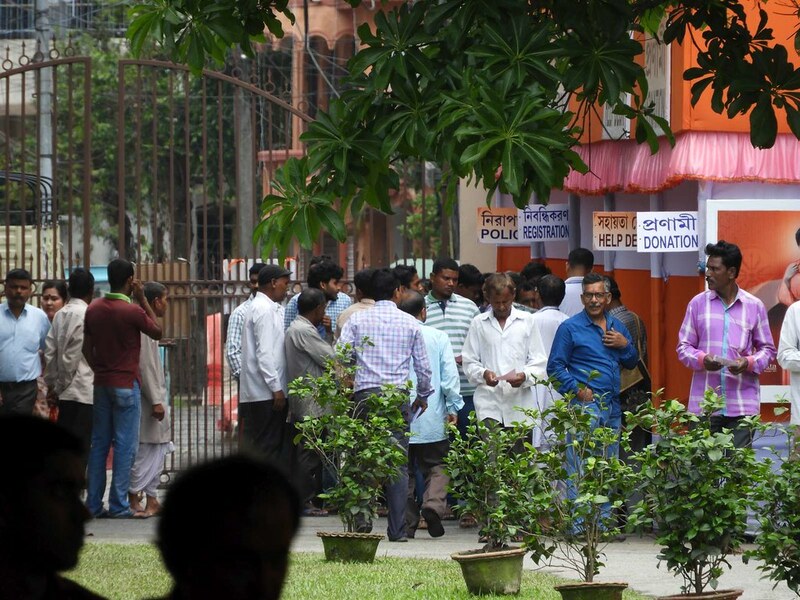 Local admirers constructed five large Gates with pictures and quotations of Swamiji and Sister Nivedita. 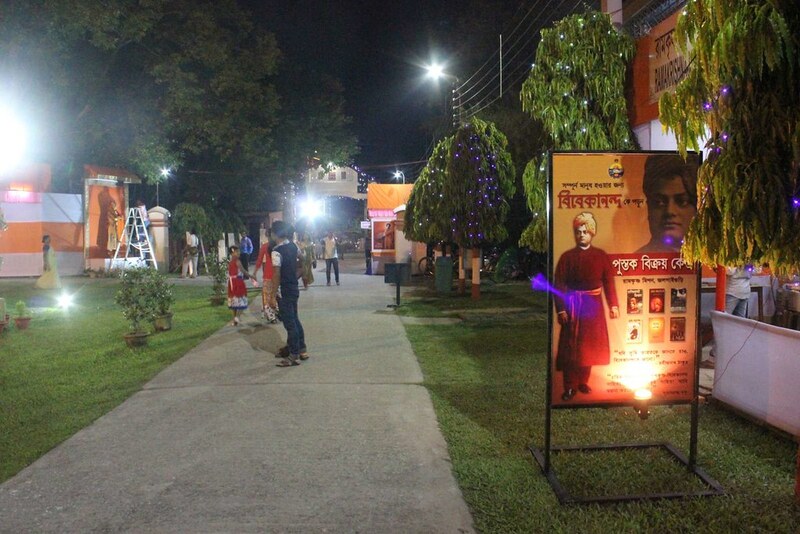 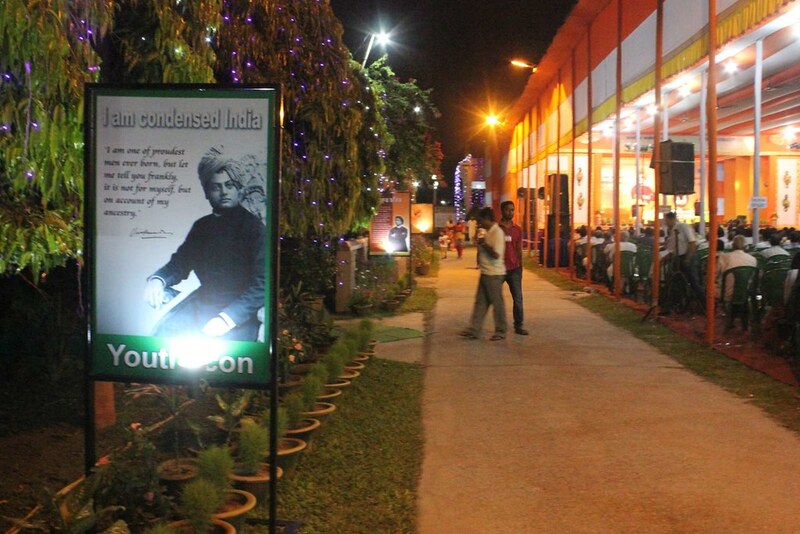 Similarly hoardings with pictures and quotations put up at different points of the city. 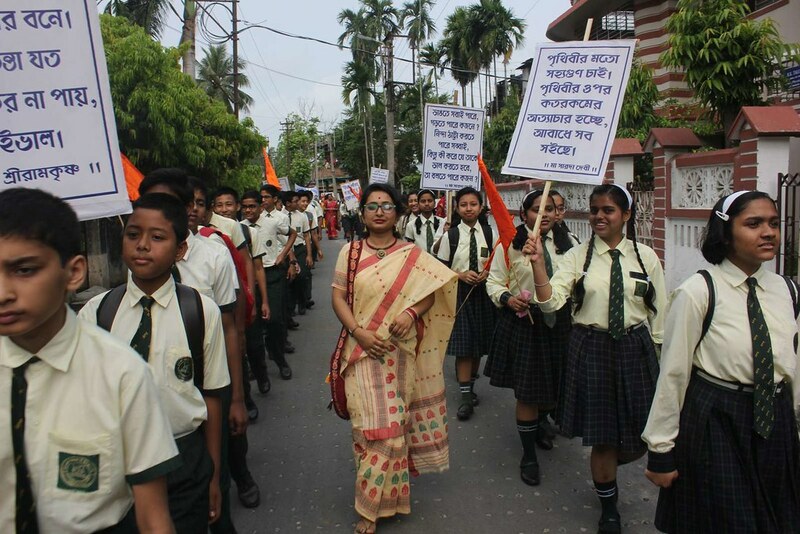 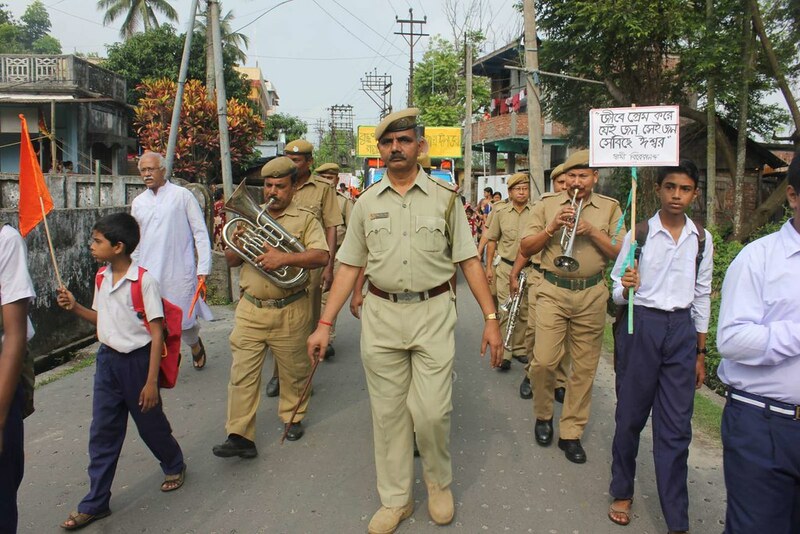 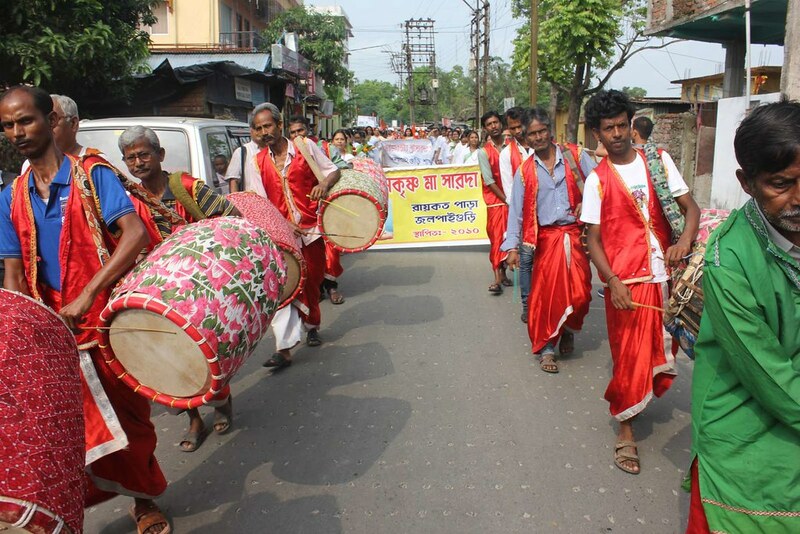 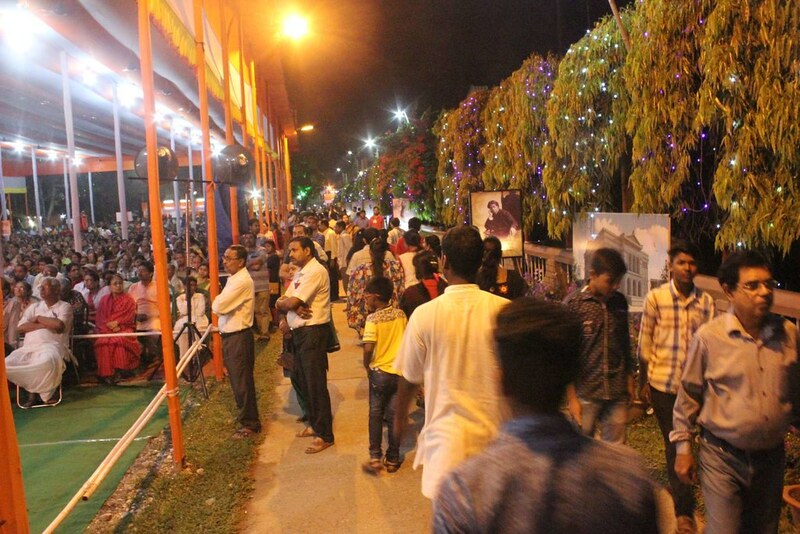 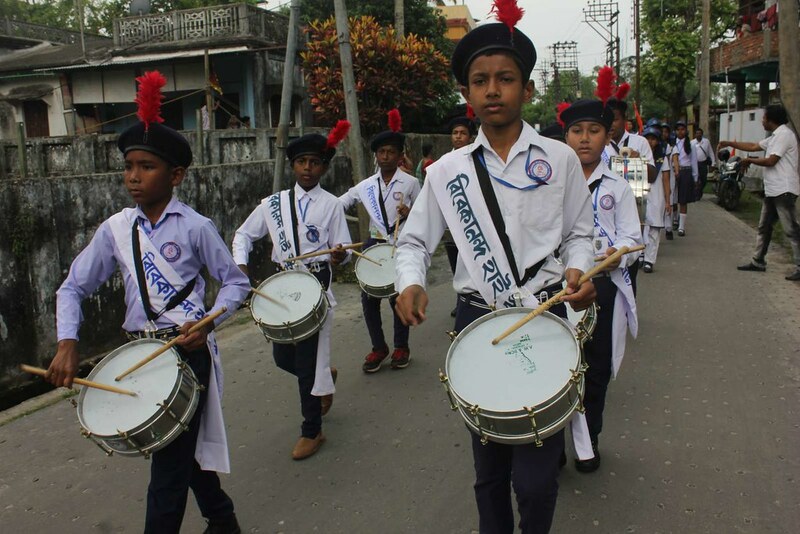 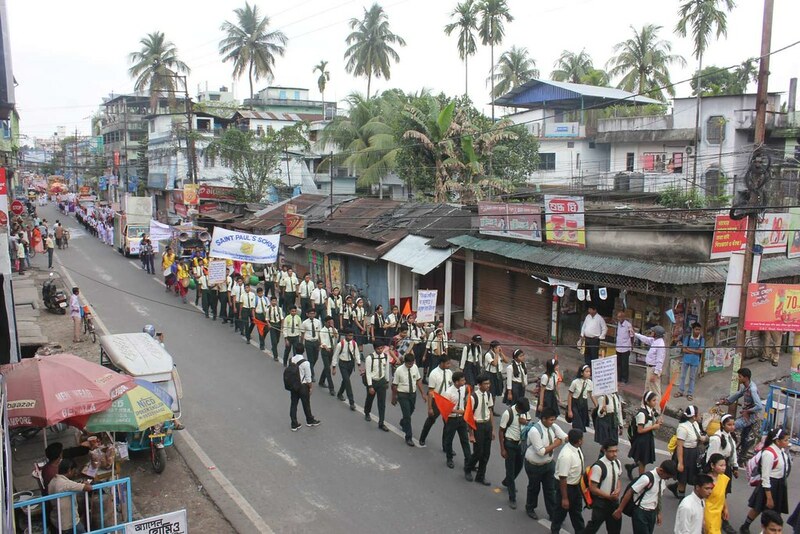 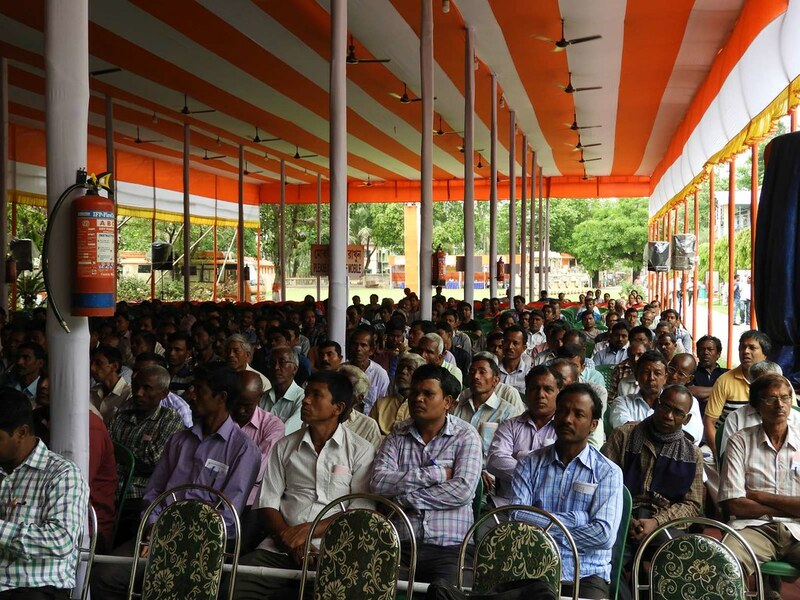 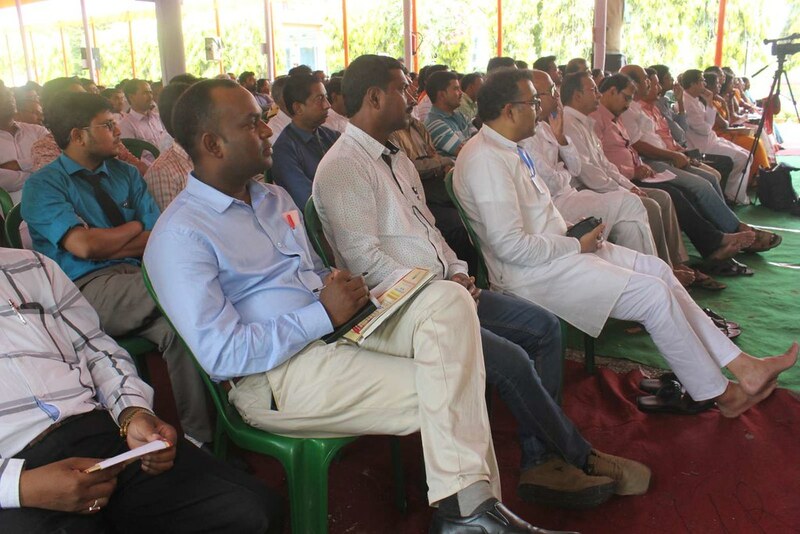 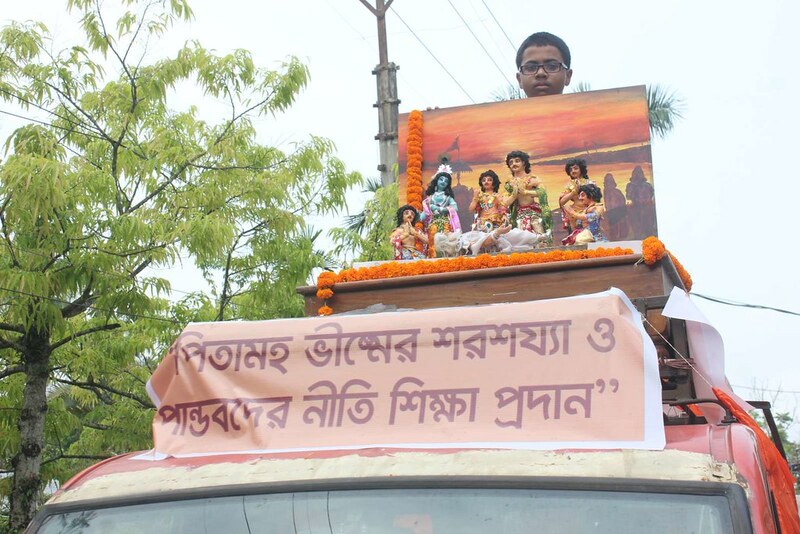 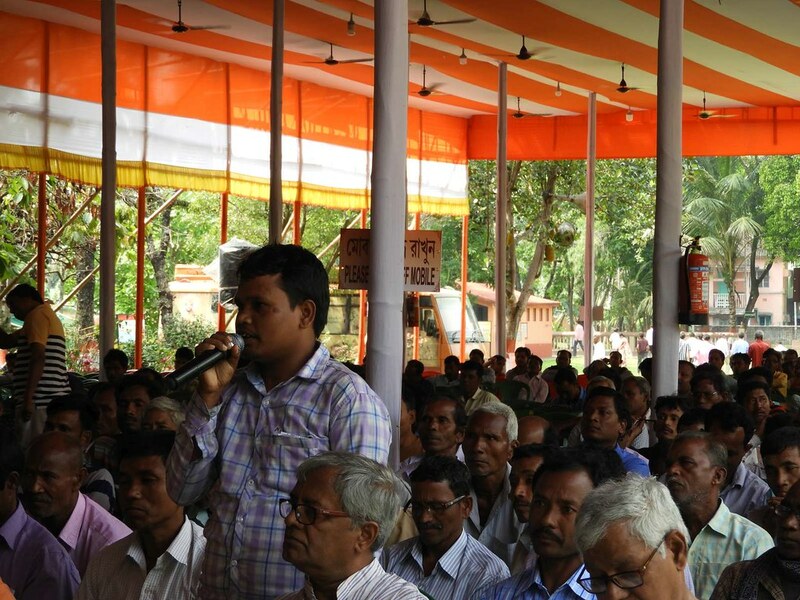 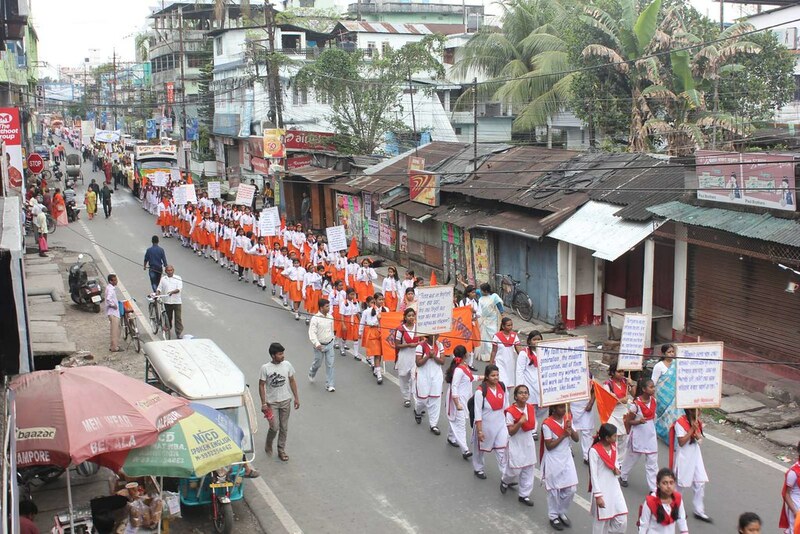 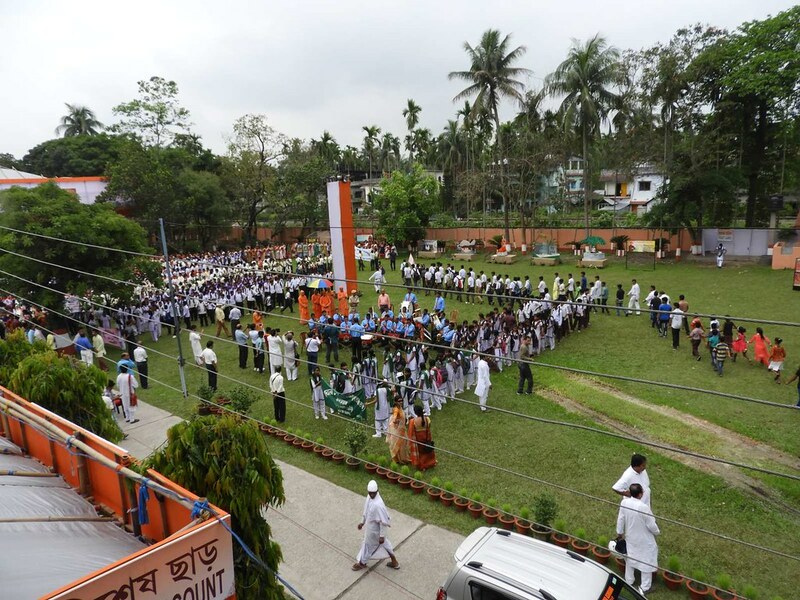 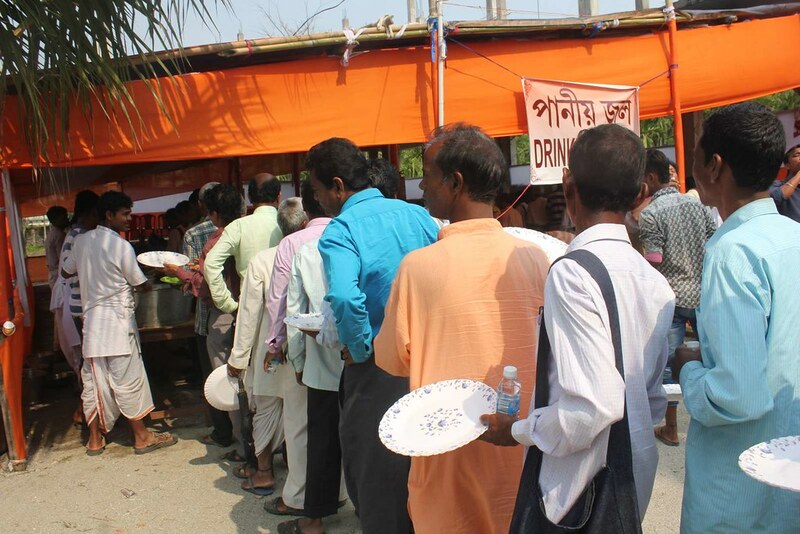 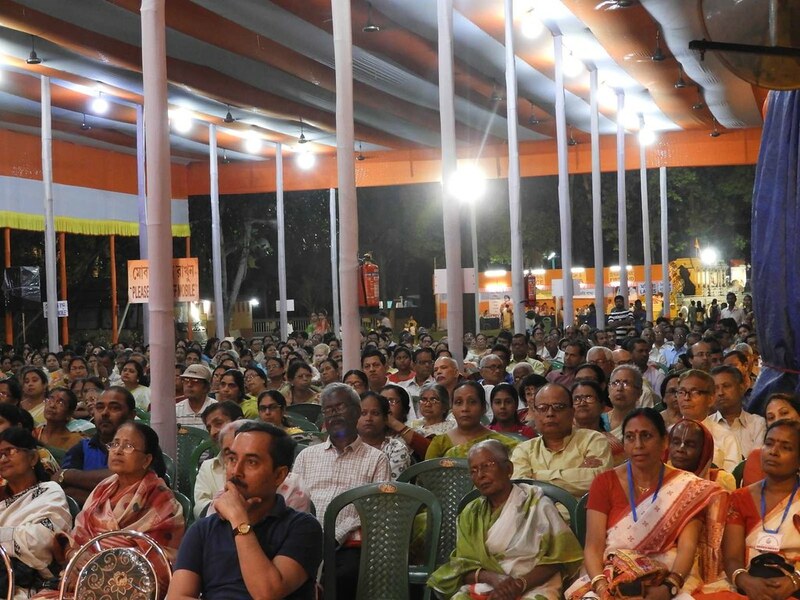 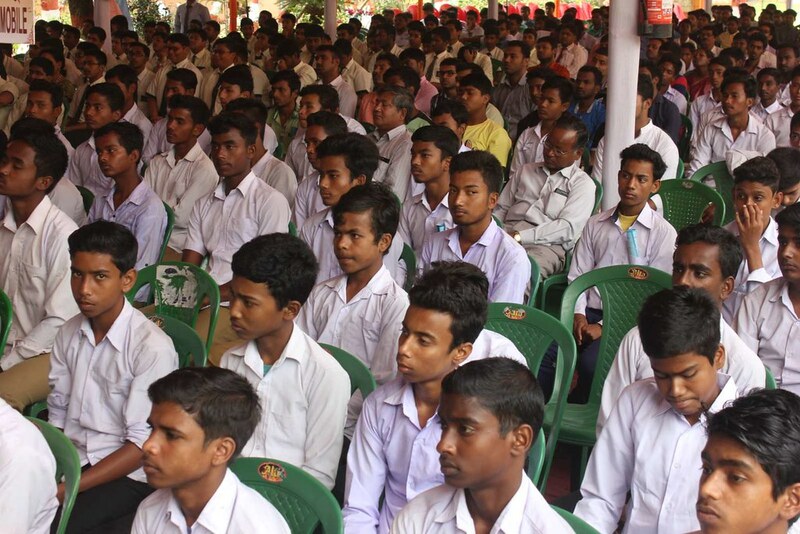 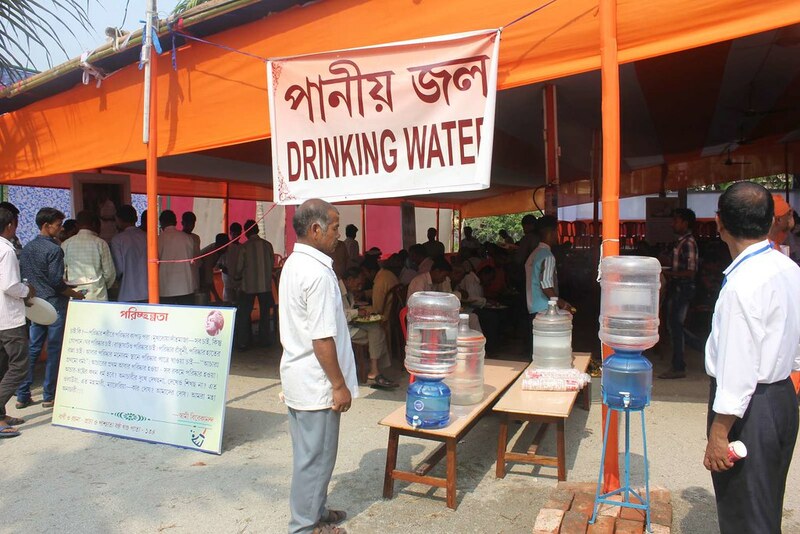 Whole hearted an enthusiastic participation was witnessed among the people of the entire city and also residents from various other areas of North Bengal and also of the other districts of West Bengal and Assam. 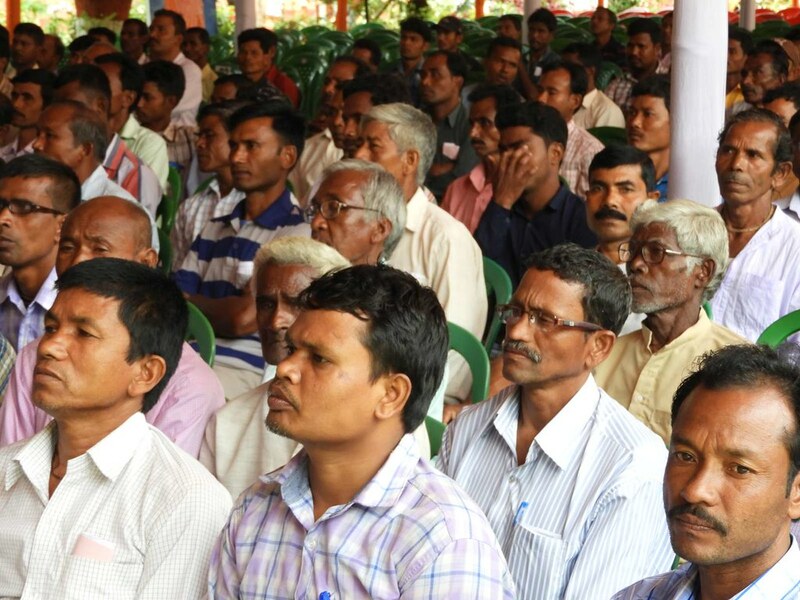 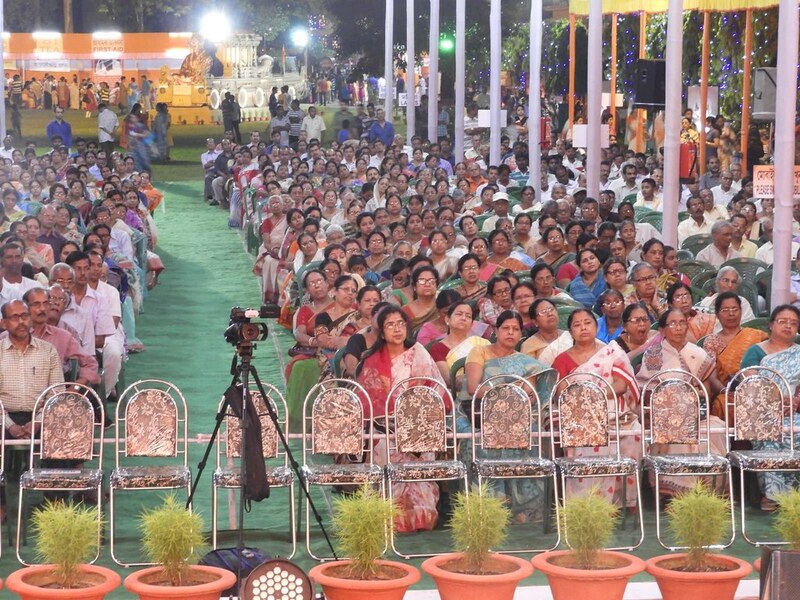 Different Government, Non-Government organisations, all walks of people extended their whole hearted support for the successful completion of the programme.